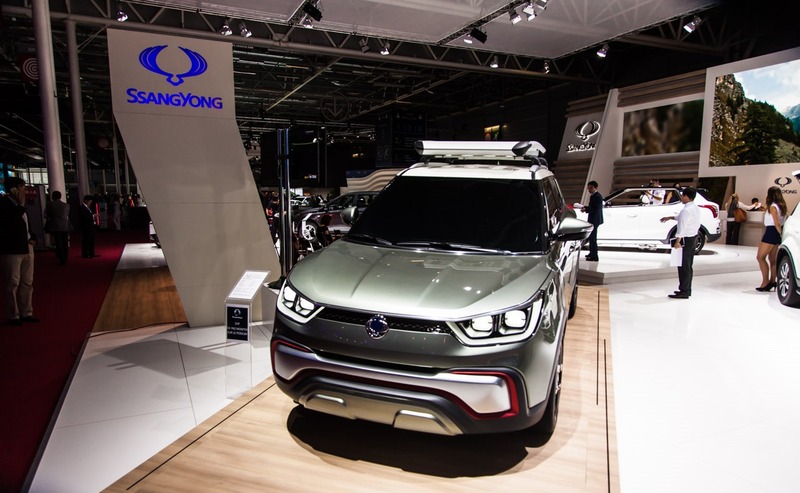 Η Ssangyong στην έκθεση του Παρισιού παρουσίασε τα XIV-Air και XIV-Adventure concepts. 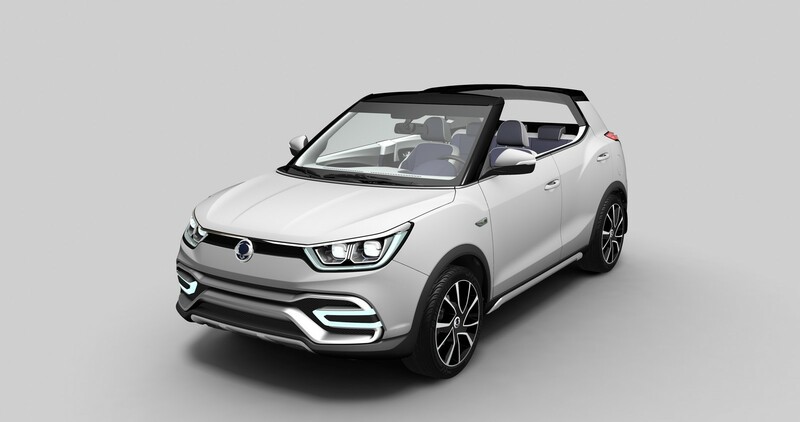 Τα δύο πρωτότυπα της B κατηγορίας μας δείχνουν το πως θα μοιάζει το νέο μικρό X100 crossover που θα βγάλει στην αγορά η κορεατική εταιρία το επόμενο έτος. 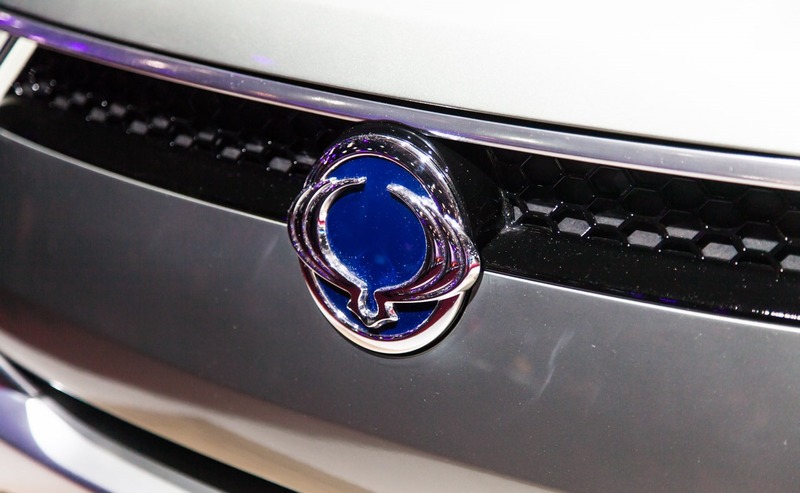 Έχουν μήκος 4.195 mm με το μεταξόνιο τους να φτάνει τα 2.600 mm. 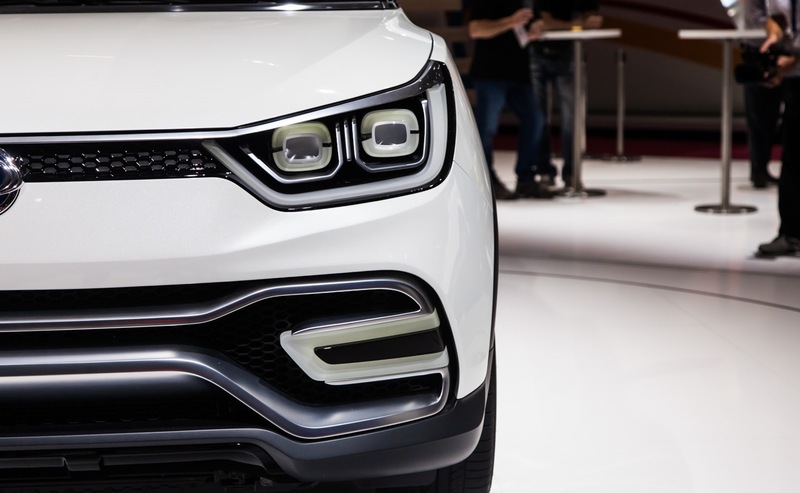 Κάτω από το καπό τους συναντάμε έναν 1.600αρη κινητήρα βενζίνης και έναν 1.600αρη κινητήρα πετρελαίου, οι οποίοι πληρούν τα πρότυπα του Euro 6. 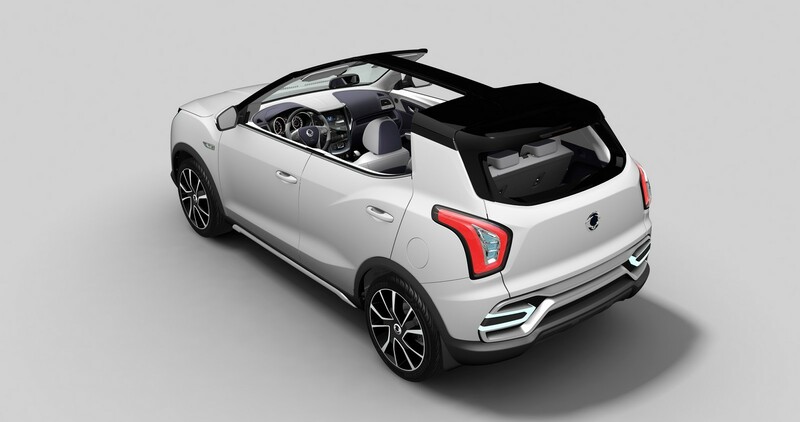 Και οι δύο συνδυάζονται είτε με ένα 6-τάχυτο μηχανικό είτε με ένα 6-τάχυτο αυτόματο κιβώτιο, με τον diesel κινητήρα να εκπέμπει 110-120 γρ/χλμ CO2, και τον βενζινοκινητήρα 140-150 γρ/χλμ CO2. 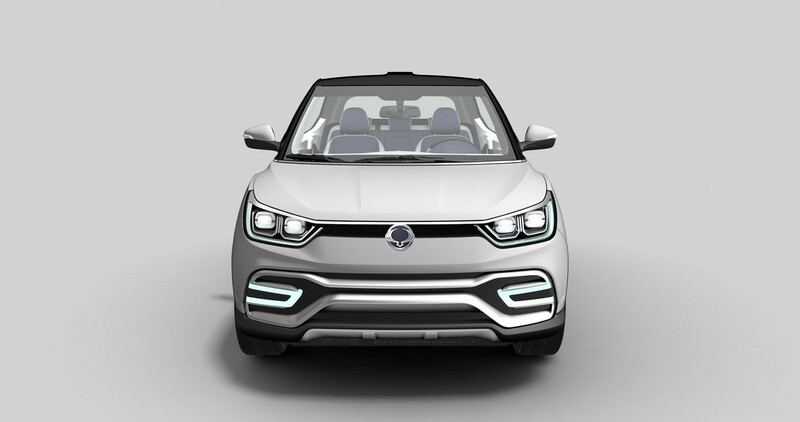 Development concept The XIV B-segment SUV series has been shown in various iterations at recent international motor shows, beginning with the IAA Frankfurt in 2011. 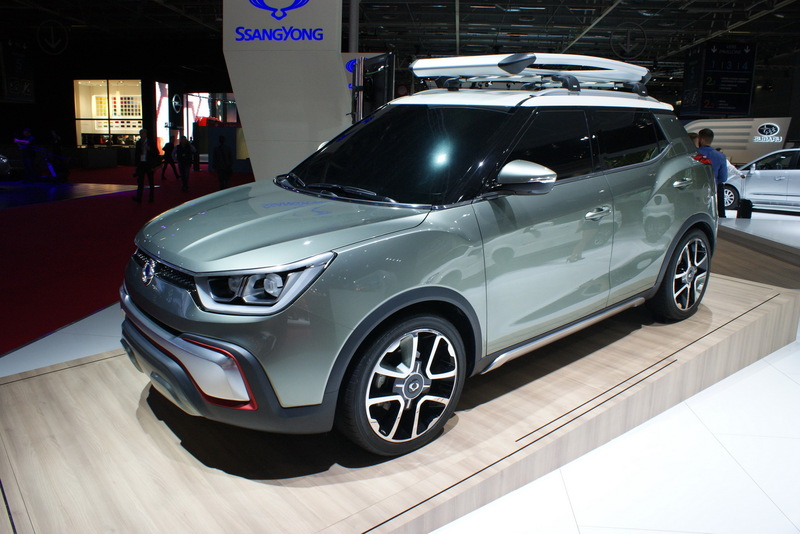 Now nearing its international launch, XIV is expected to go on sale in Korea from early 2015 and other global markets soon afterwards, with anticipated annual sales of some 100,000 vehicles. 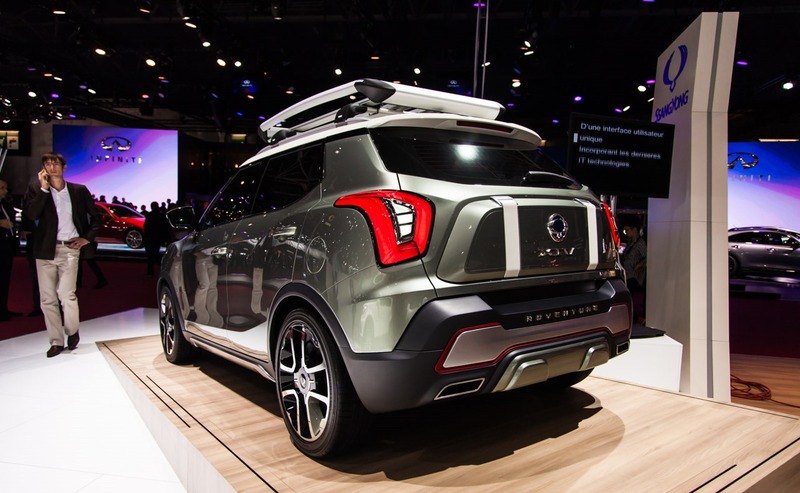 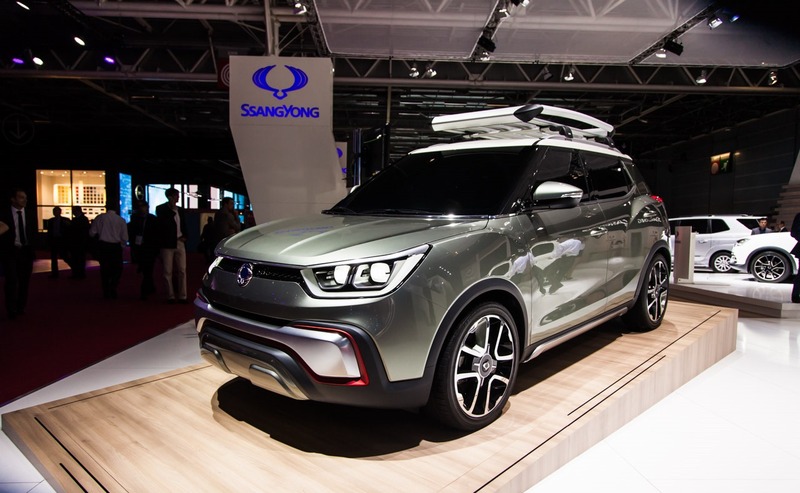 For this year’s Paris Motor Show, SsangYong is showing two further development concepts, XIV-Air and XIV-Adventure. 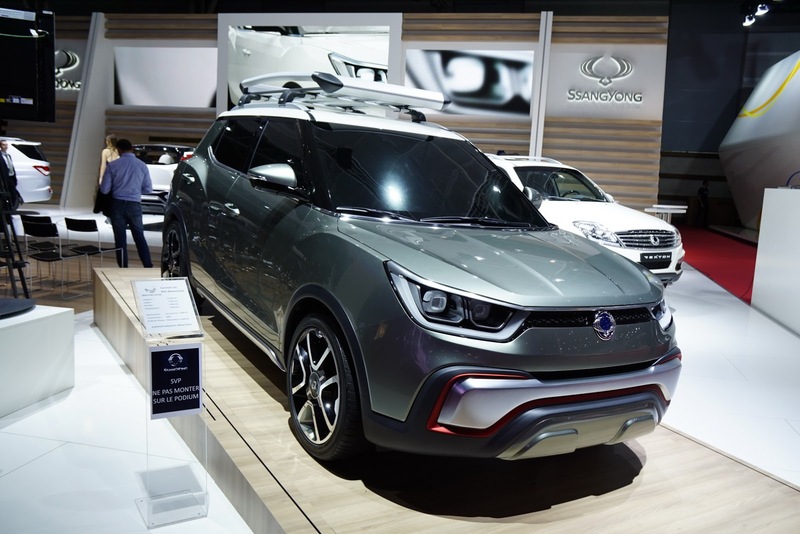 Based on the brand’s design philosophy of ‘Robust, Specialty and Premium’ and intended to create a close and emotive connection with owners, this B-segment SUV will become one of SsangYong’s most significant strategic models. 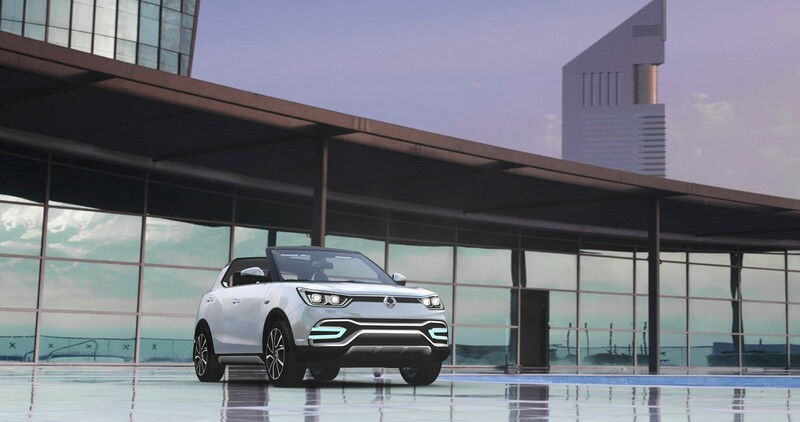 The XIV-Air and XIV-Adventure are equipped with several new technologies including a Stop/Start fuel saving system and three mode smart steering with electric power assistance, in addition to an all-wheel drive (AWD) system which SsangYong offers on all its SUV models. 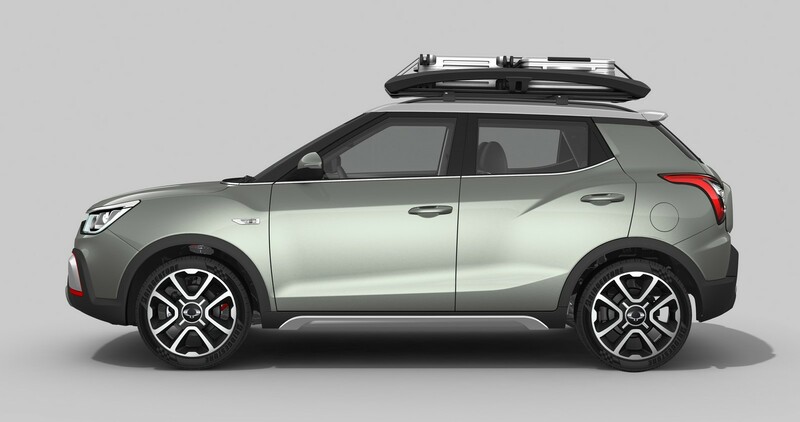 To optimise comfort and convenience for the driver and passengers, features include a smart RDS & Bluetooth audio system, ventilated driver’s seat, digital dual-zone air conditioning, rear view parking camera, a sunroof and trip computer. 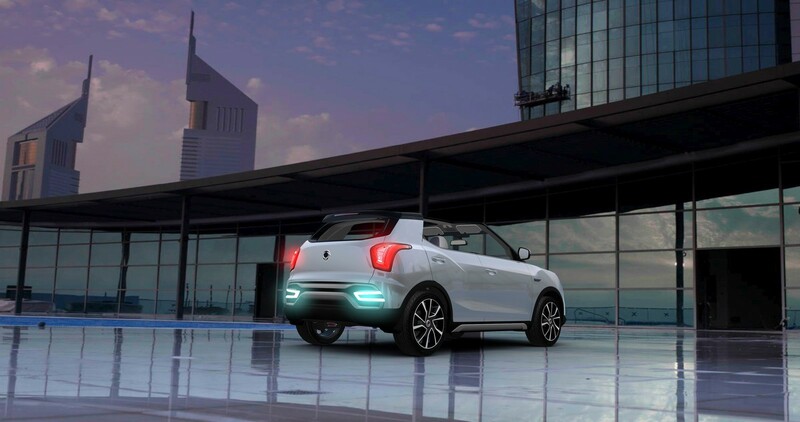 A high level of safety is also assured thanks to advanced ESP, seven air bags (dual front, side, curtain and driver’s knee) and high intensity discharge (HID) headlights. 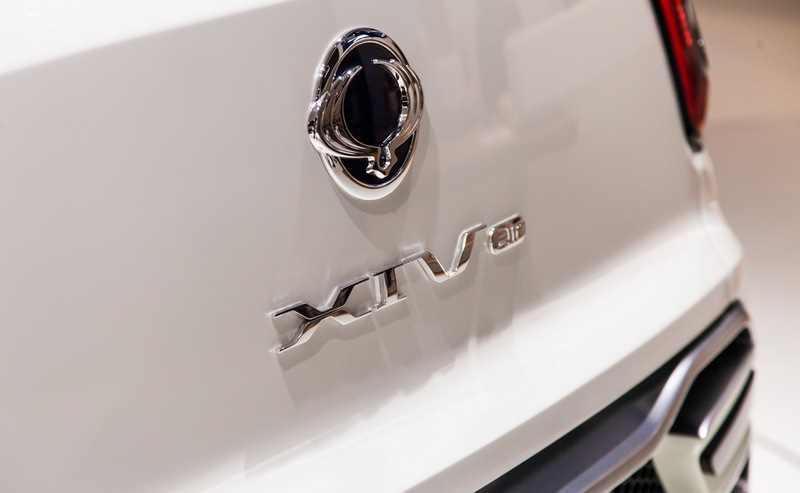 And to meet the most stringent environmental legislation and fuel efficiency requirements, XIV comes with a choice of 1.6 litre petrol and 1.6 diesel Euro 6 engines to ensure low CO² emissions. 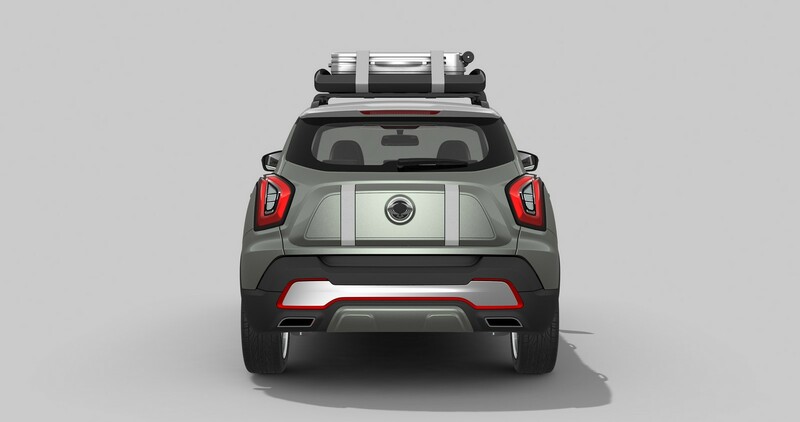 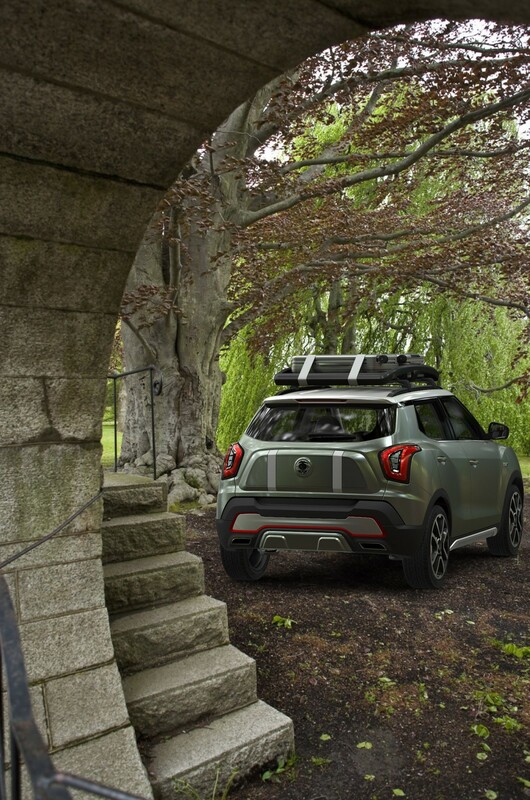 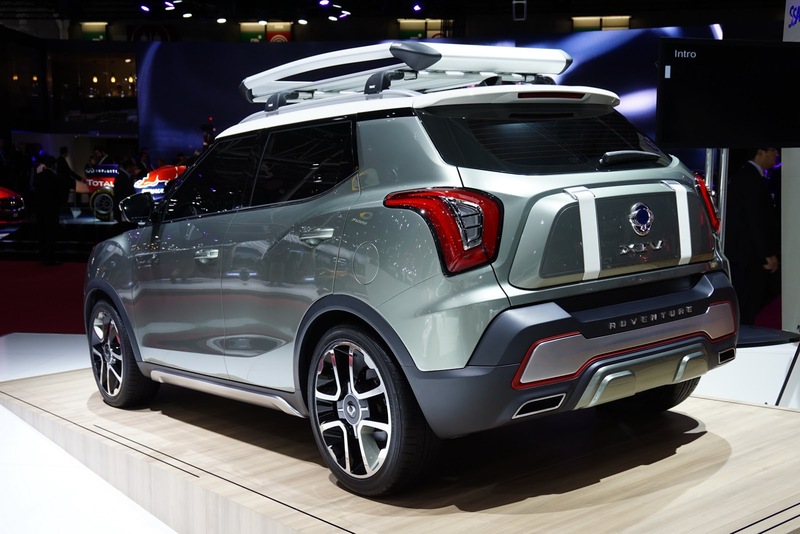 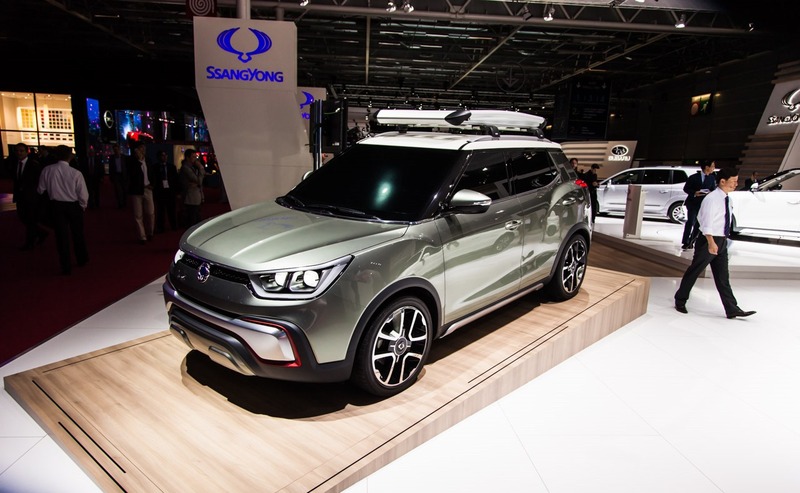 Styling concept The design of XIV-Air and XIV-Adventure has been inspired by the association of the power and dynamism of nature, and SsangYong’s new design philosophy, ‘Nature born – 3 Motion’ – the central theme of the brand’s vehicle design language. 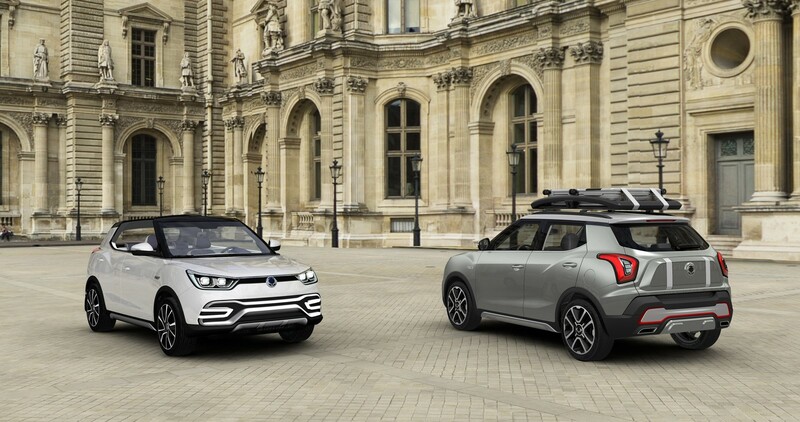 The marque’s design philosophy embraces the dignified, dynamic and rhythmical qualities of nature, while enriching the customer experience through the harmony of man, nature and the car. 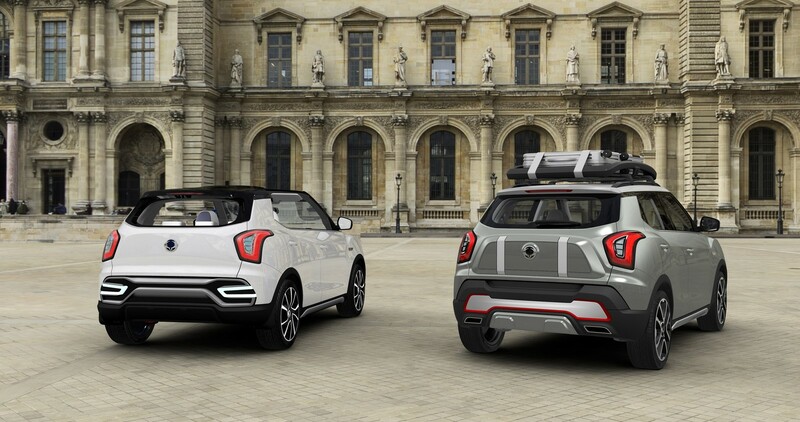 These two new concepts are intended to capture the emotional satisfaction derived from the pleasure of travelling. 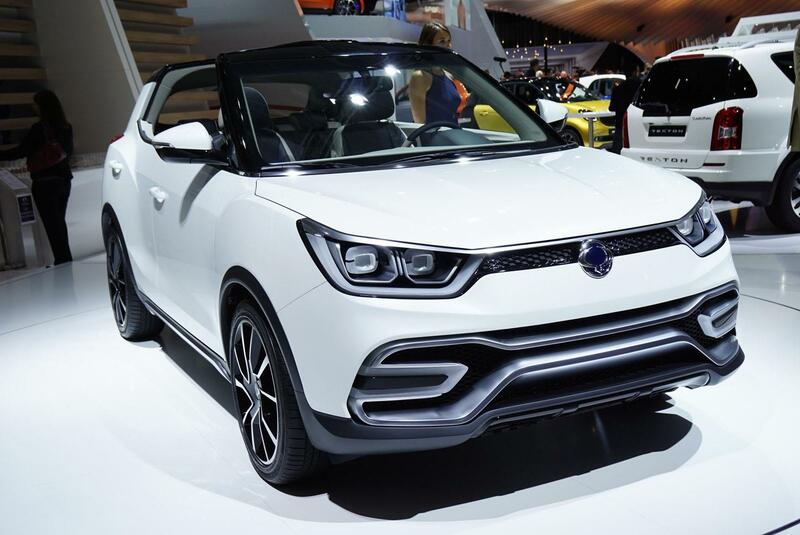 Echoing the ‘rhythmical motion’ seen in the XLV concept at this year’s Geneva motor show, these cars share many design values of the new B-segment car to be launched next year. 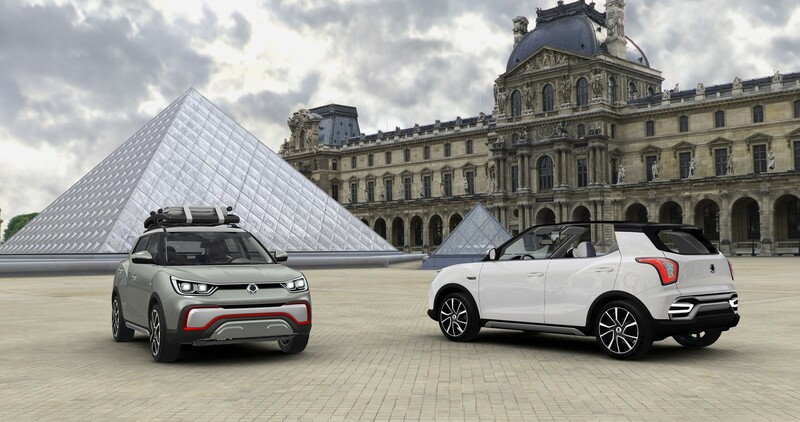 Exterior With its targa ‘T-top’ roof, XIV-Air meets the design brief by enabling driver and passengers to enjoy nature within their daily life. 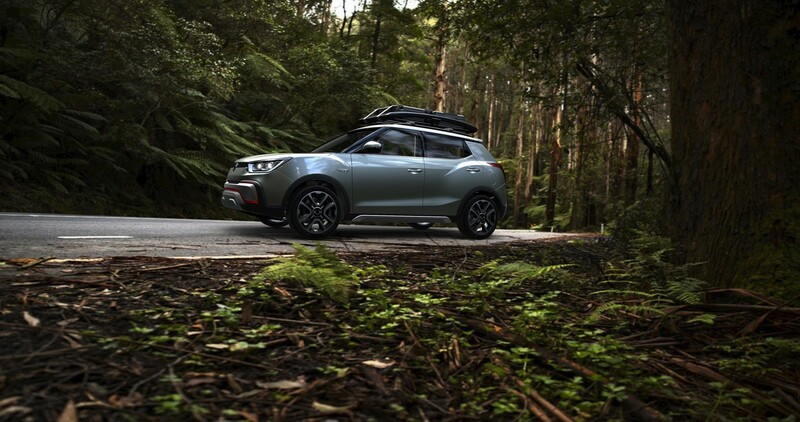 Believed to be unique in the SUV sector, this affords a sporty and dynamic sense while driving, and the opportunity to enjoy the benefits of open top motoring. 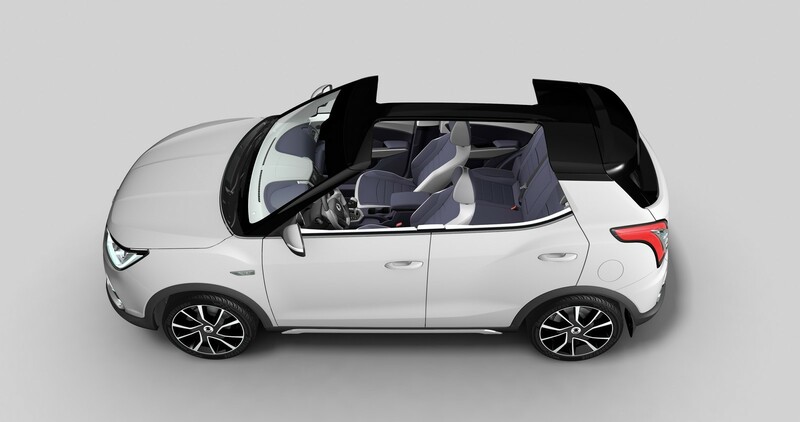 The simple yet refined bodylines create the sense of rhythm and dynamism, while the targa top offers the pleasure of wind-in-the-hair driving yet with protection. 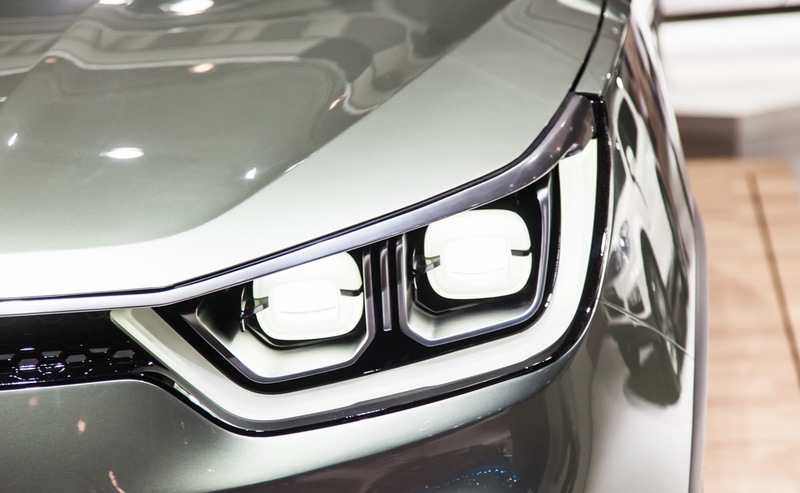 The robust and aggressive design to the lights complements the car’s more futuristic design language. 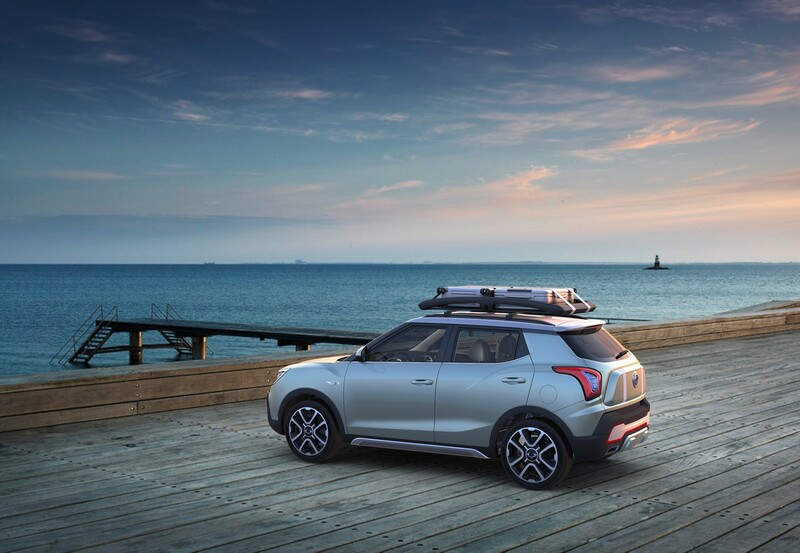 Inspired by the anticipation and excitement of the journey, XIV-Adventure embraces the escape from the routines and frustrations of urban life, leaving the crowded streets and skyscrapers behind while travelling away to new beginnings and possibilities. 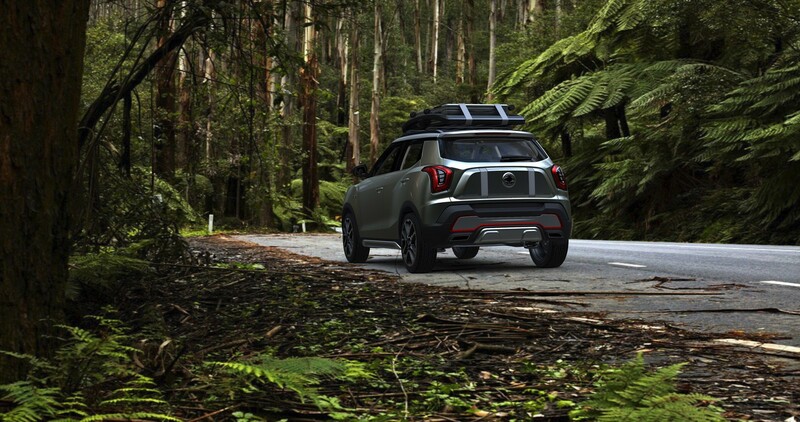 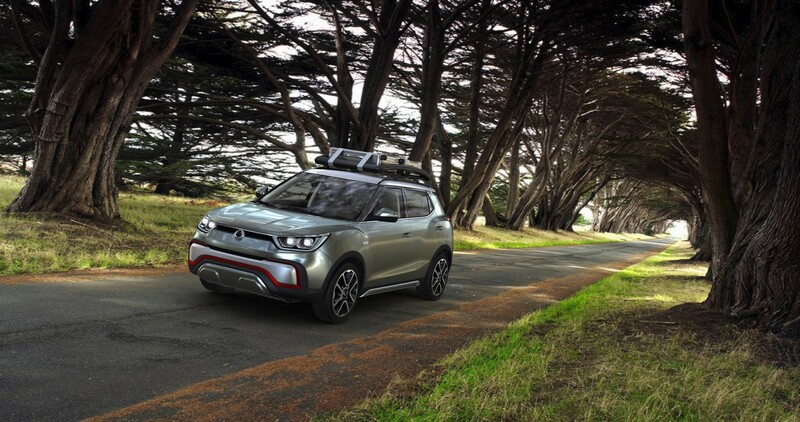 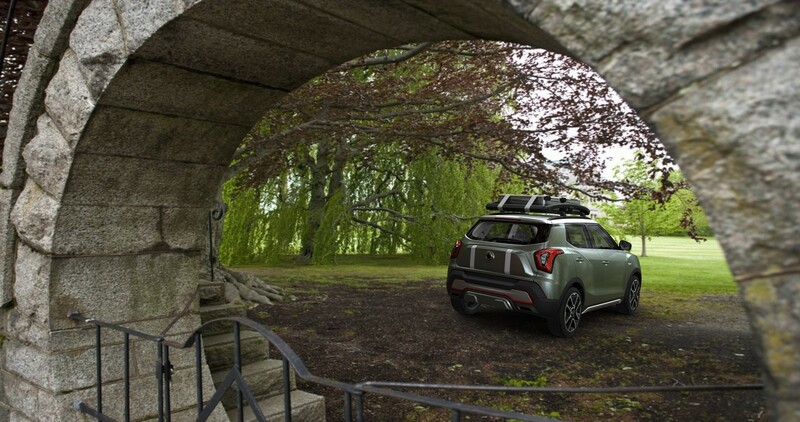 With such design cues as a heavy-duty bumper protector, purposeful roof rack and search light, the car evokes happy memories of escaping to the country and camping out in the wild surrounded by nature. 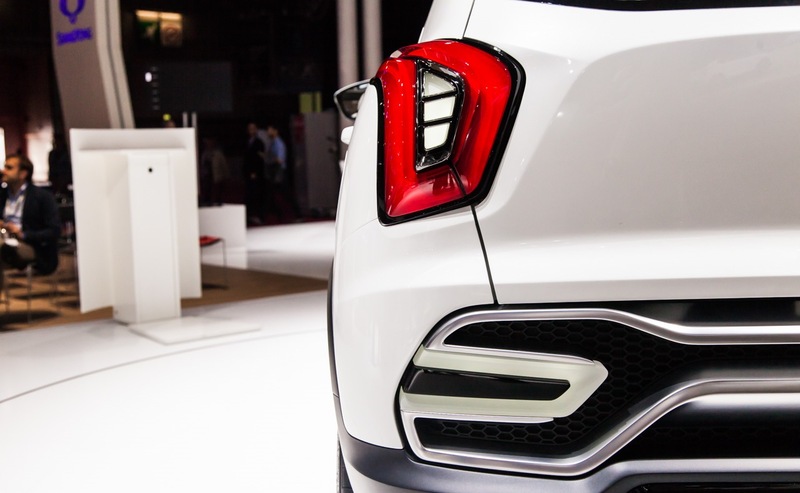 Rhythmical character lines flow down the side of the car’s body, while the taut volume of the rear bumper exudes dynamic motion. 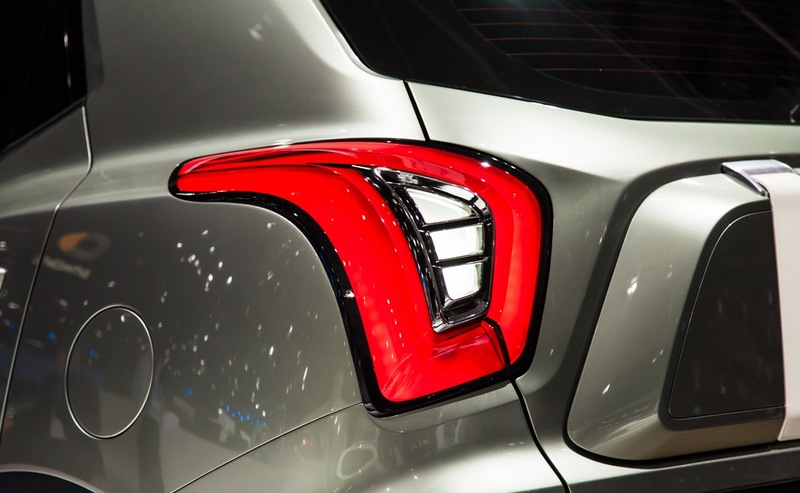 A chrome molding flows around the base of the car’s glazed area, below the windscreen, and ‘kicks-up’ at the C pillars. 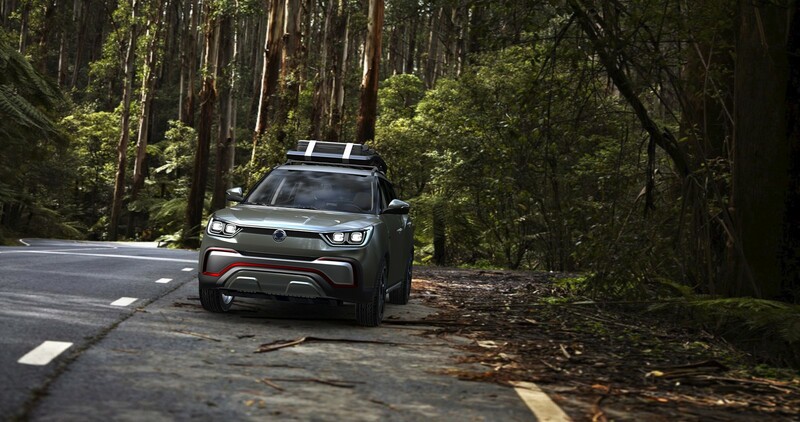 A slim, wide grille, headlights built into the structural design, and a rugged tailgate completes the SUV style of the XIV-Adventure while closely echoing the SsangYong ‘look’. 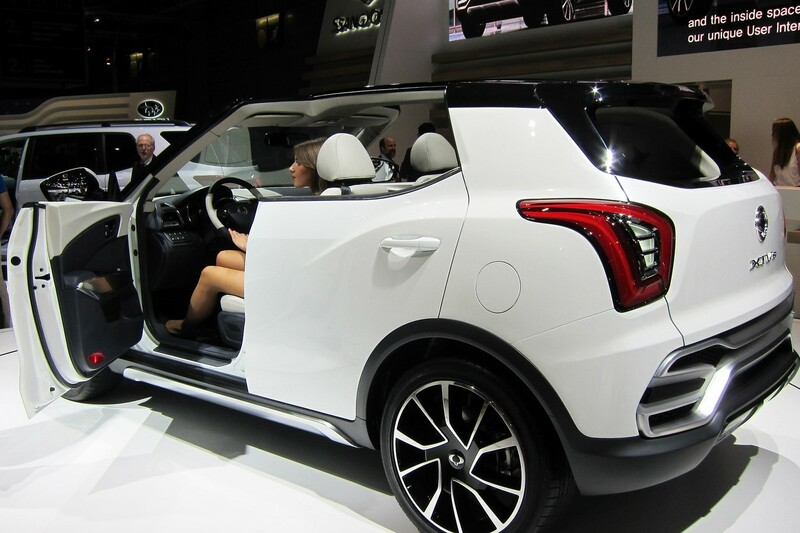 Interior Inside, the XIV-Air pursues an emotional design language inspired by the effect of a cool and silky breeze. 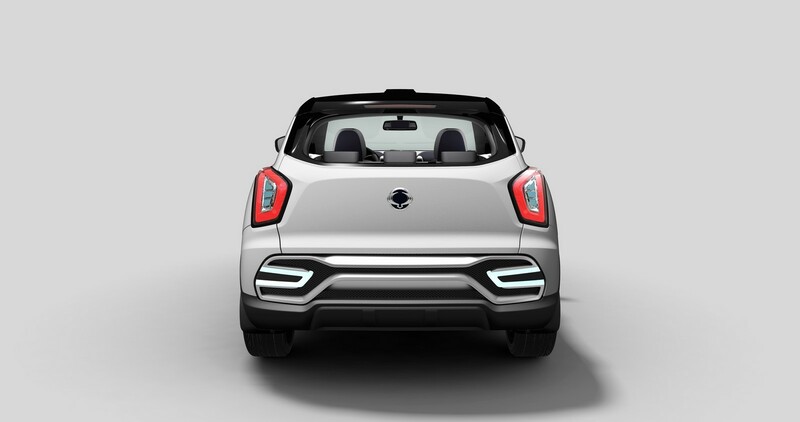 The shape of a bird’s wings in flight and two-tone colourway of white and dark blue creates the sense of inner space and a sporty, stylish ambiance, while the metal central fascia highlights the car’s futuristic design. 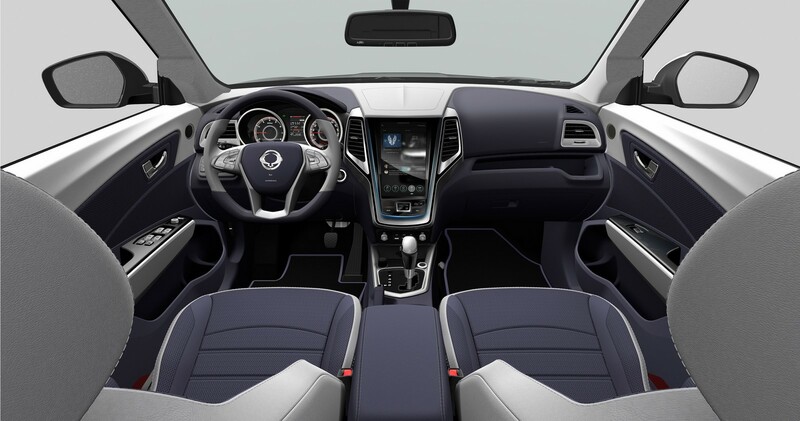 The interior fully embraces the importance of easy-to-use controls and devices, and integrates the very latest IT to ensure the best possible interface with users. 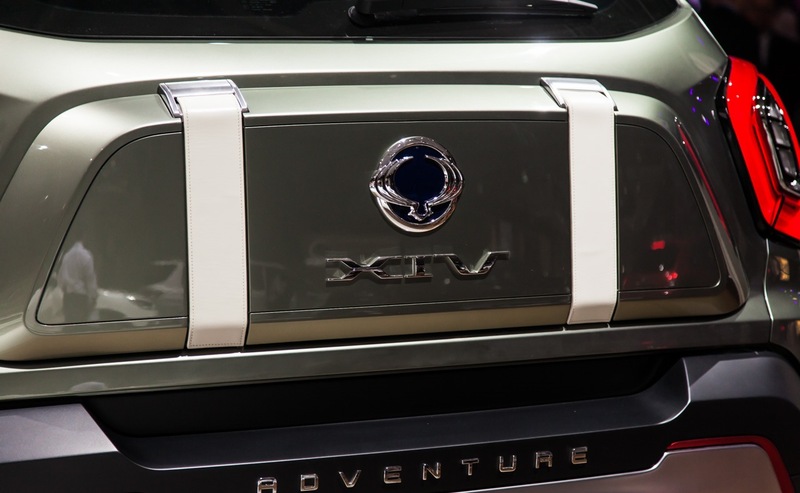 Eco-friendly powertrain XIV-Air and XIV-Adventure are powered by either a 1.6 litre petrol or 1.6 litre diesel engine, and meet the latest exacting Euro 6 emission standards. 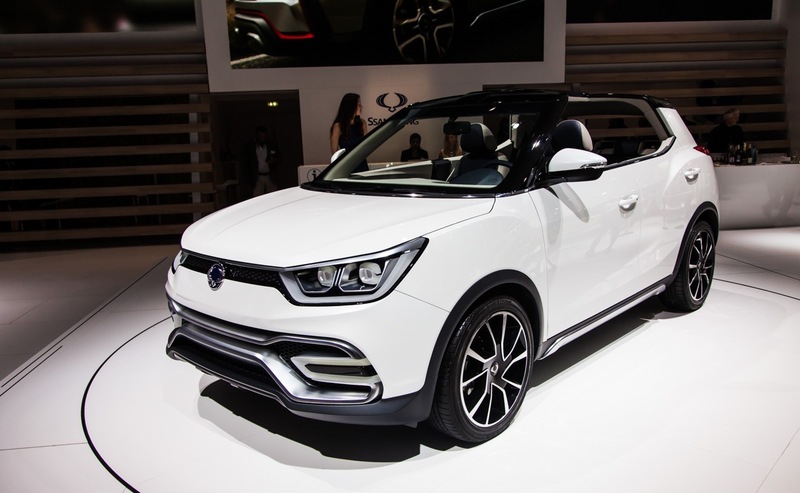 Offering various combinations of 6-speed manual and automatic transmission, two-wheel drive and all-wheel drive, CO² emission levels are significantly reduced, particularly with the manual transmission where a Stop/Start system and electric power assisted steering also help minimise power loss. 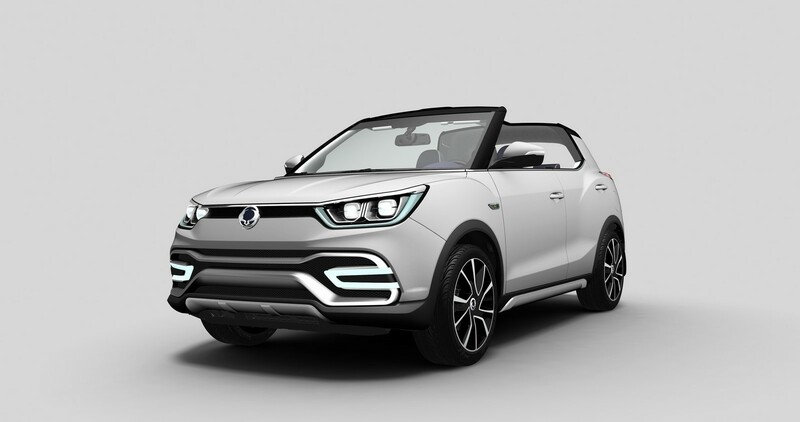 The 1.6 litre eco-friendly diesel engine produces much reduced CO² emissions of 110 – 120g/km (two-wheel drive, manual with Stop/Start), and the 1.6 litre petrol engine delivers a 140 – 150g/km CO² emission level, again with two-wheel drive, manual transmission with Stop/Start. 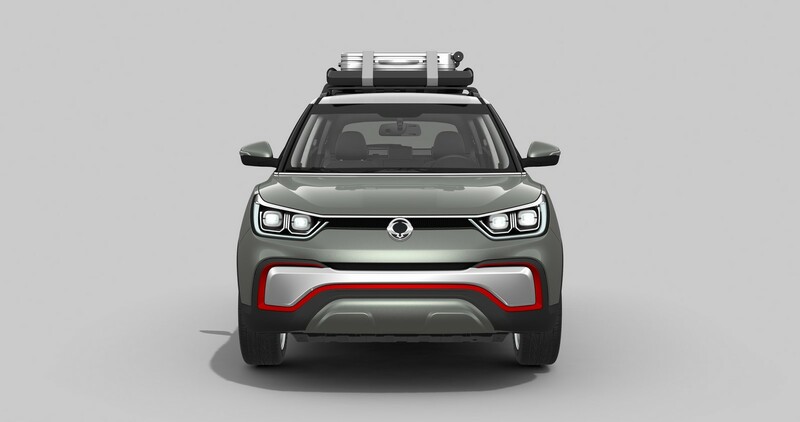 Safety Safety has been a key priority throughout the design stages of the new XIV, with passengers at the centre of consideration. 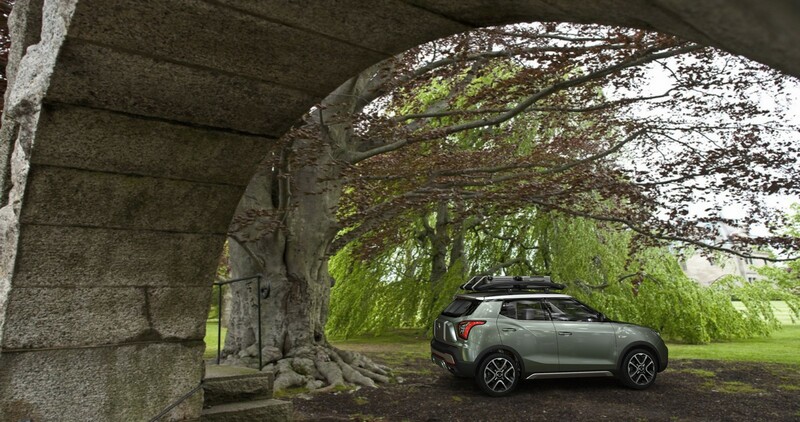 To this end, advanced safety equipment such as ESP (electronic stability programme) is included which continually monitors road conditions and the vehicle’s status, adjusting speed, engine output, balance, braking and steering angle at the point when the driver is potentially about to lose control. 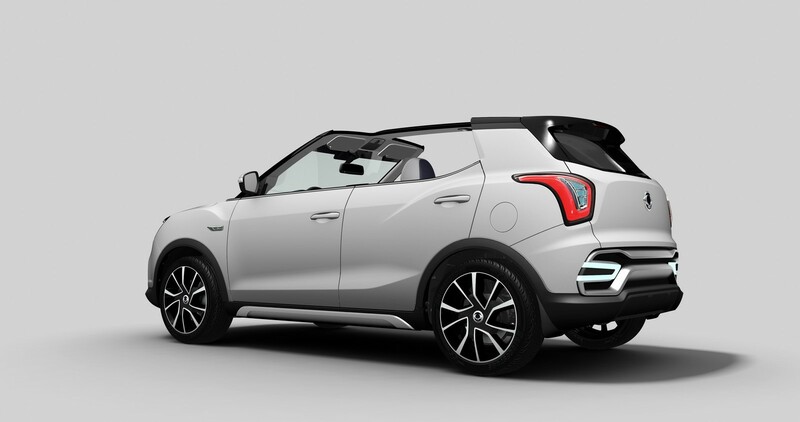 The car also comes with a Hill Start Assist system, which allows drivers to change easily from the brake to the accelerator pedal and carry out a safer hill start, and an Emergency Stop Signal system helps prevent collisions by warning following vehicles when braking hard. 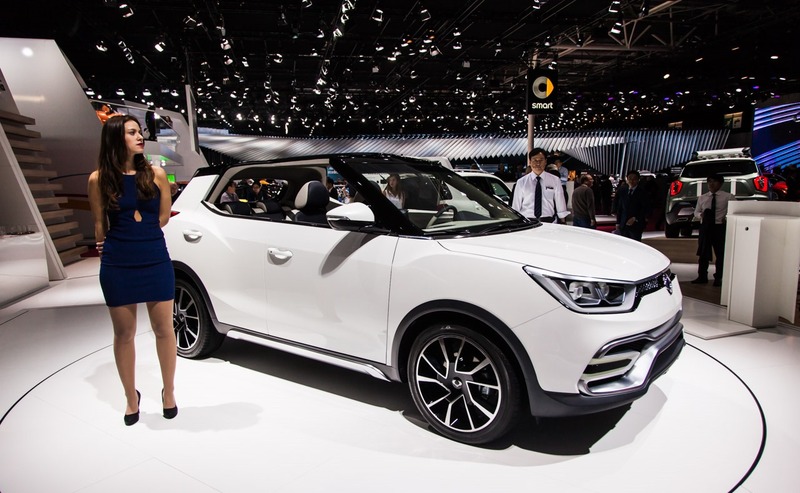 There are seven air bags to protect passengers from accidents – dual front airbags and a driver knee airbag are fitted for protection in the event of a frontal collision, while side and curtain airbags will deploy in the event of a side-on or pole crash. 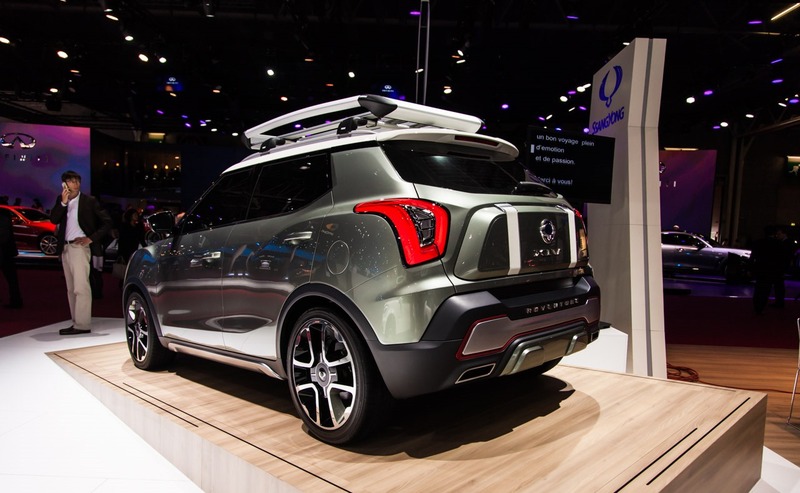 There’s also a safety restraint system to prevent passengers from being thrown from the vehicle in the event of a rollover accident. 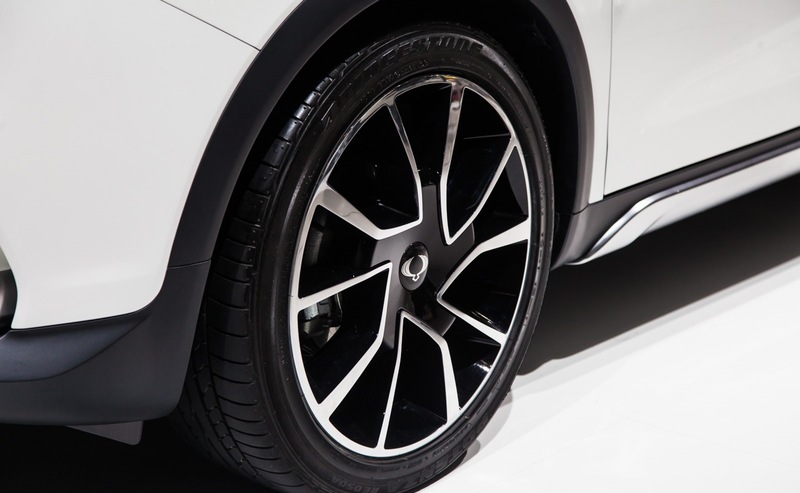 High intensity discharge (HID) headlights and LED daytime running lights help ensure the vehicle is seen at all times by other road users, especially cyclists and pedestrians, while a tyre pressure monitoring system alerts the driver when any of the tyres need to be inflated or deflated. 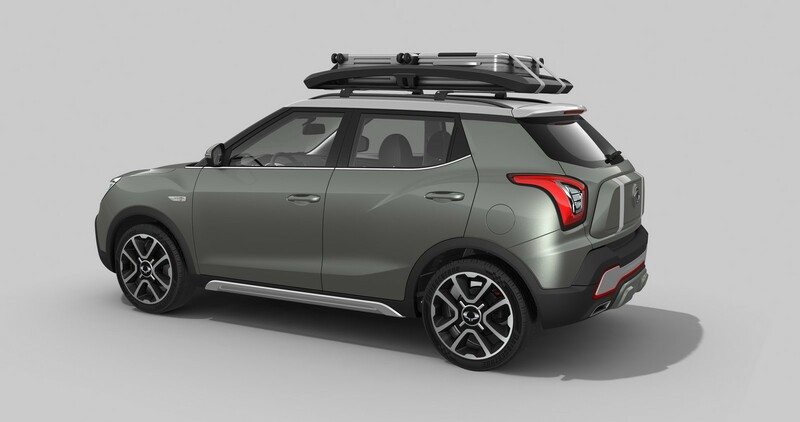 Comfort and convenience With its high riding, good visibility and go-anywhere ability, XIV offers occupants all the advantages of an SUV with the comforts and convenience of a saloon car. 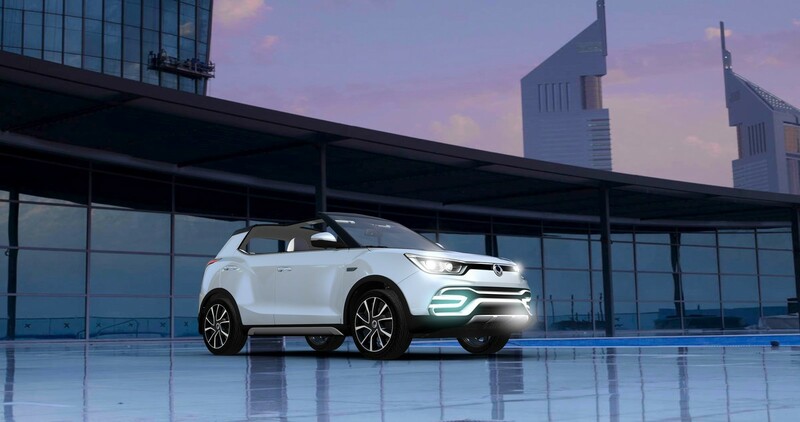 The digital-dual zone automatic air conditioning system keeps passengers feeling fresh throughout their journey by constantly monitoring the outside temperature and humidity, while front seat occupants can also adjust the temperature to their individual requirements. 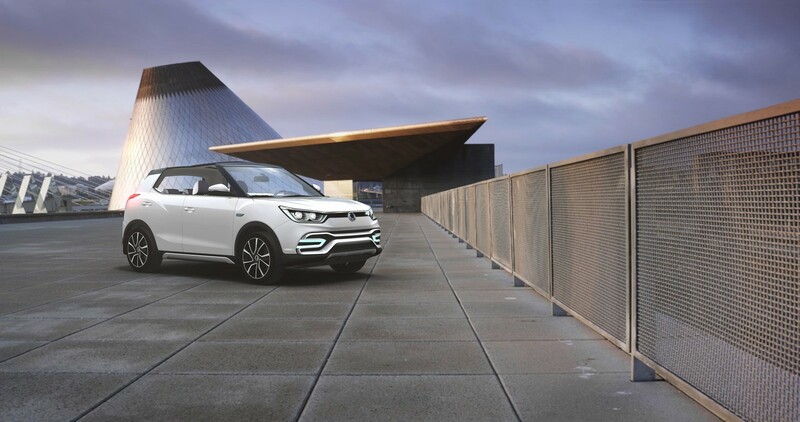 To further enhance driving comfort in varying weather conditions, XIV comes with a ventilated driver’s seat, and heated and power adjustable front seats. 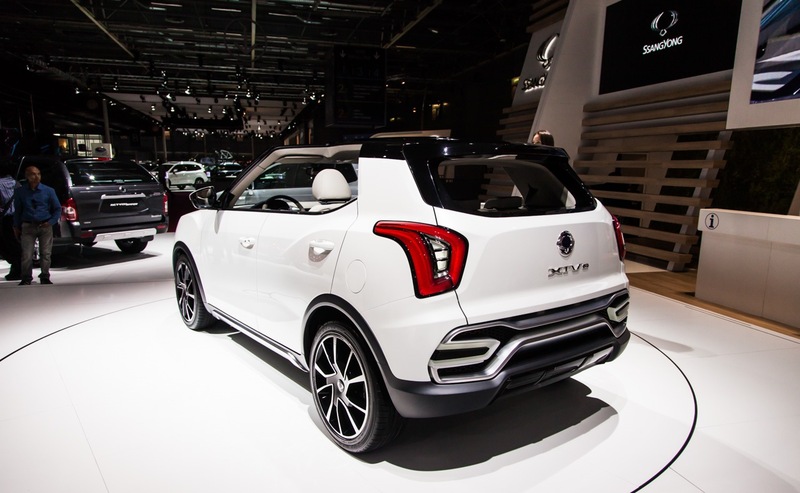 XIV is equipped with the choice of a newly designed MP3 audio system. 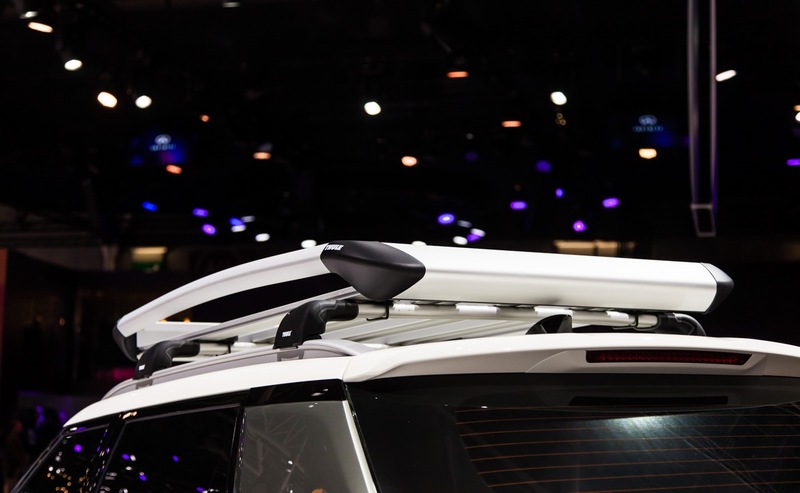 A USB/AUX port enables users to play external audio devices, while Bluetooth hands-free affords safe use of a mobile phone on the move. 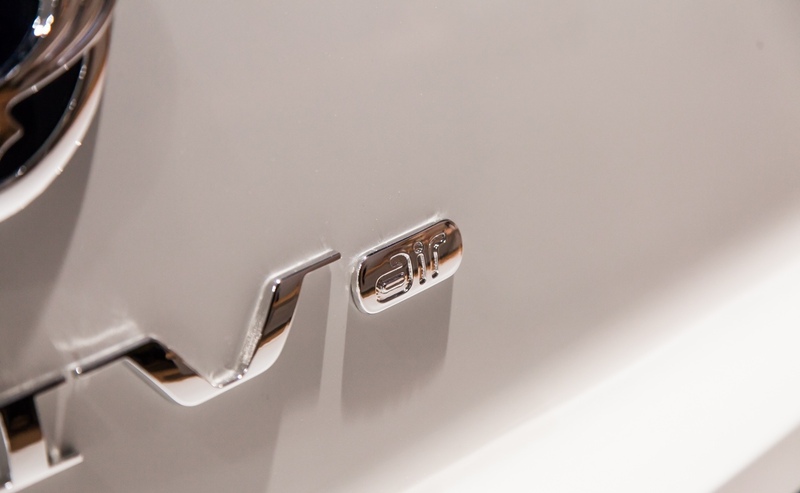 Passengers can also use their iPod and iPhone thanks to the iPod connection, with information displayed on the high-resolution LCD screen. 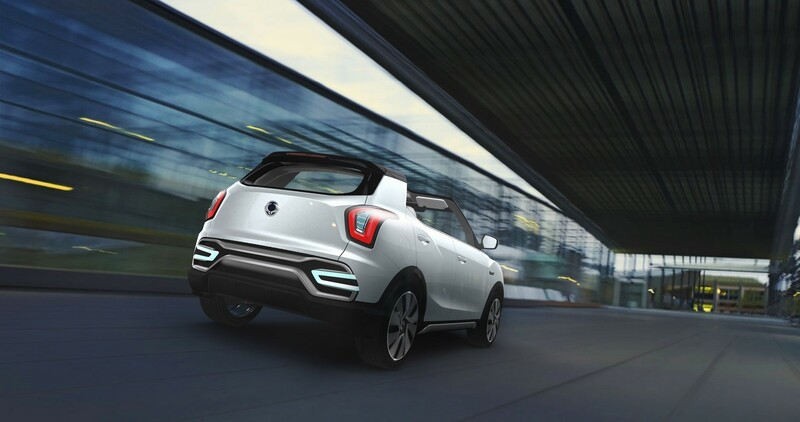 A mirroring function on the smart audio system allows you to share content on your smart phone with others by easily synching devices and then viewing on the screen. 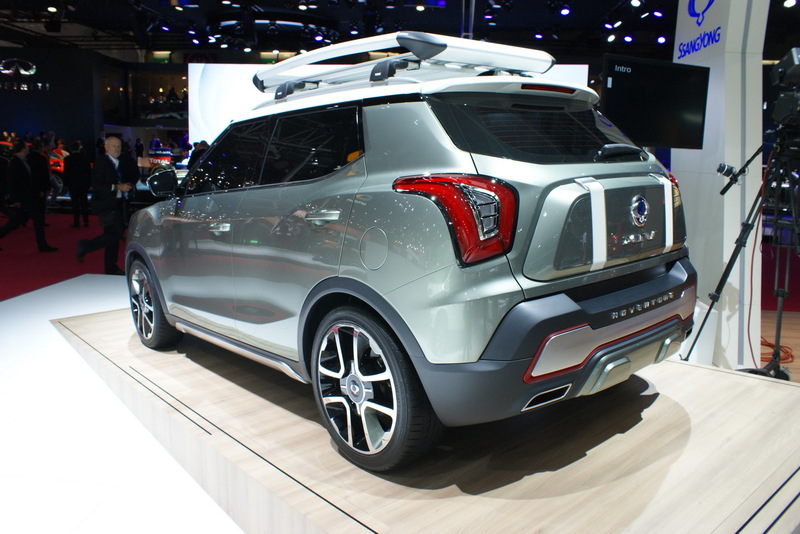 A rear view camera also displays onto the same screen making parking simpler and safer. 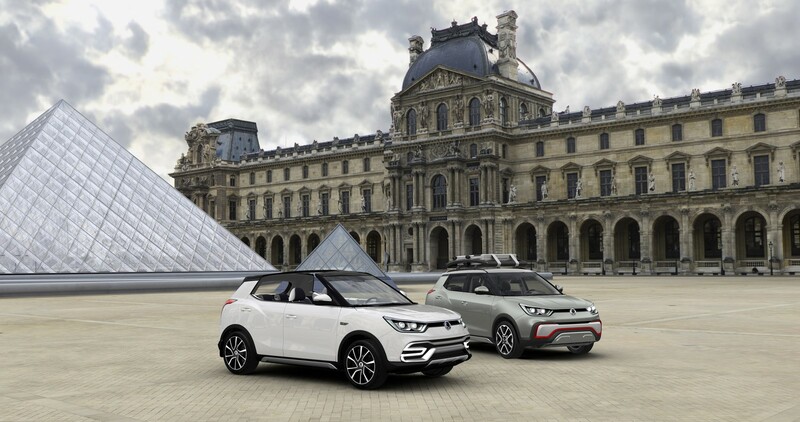 A remote keyless entry system makes opening and locking the car simplicity itself, while the optional smart key gives users a choice of manual or remote operation. 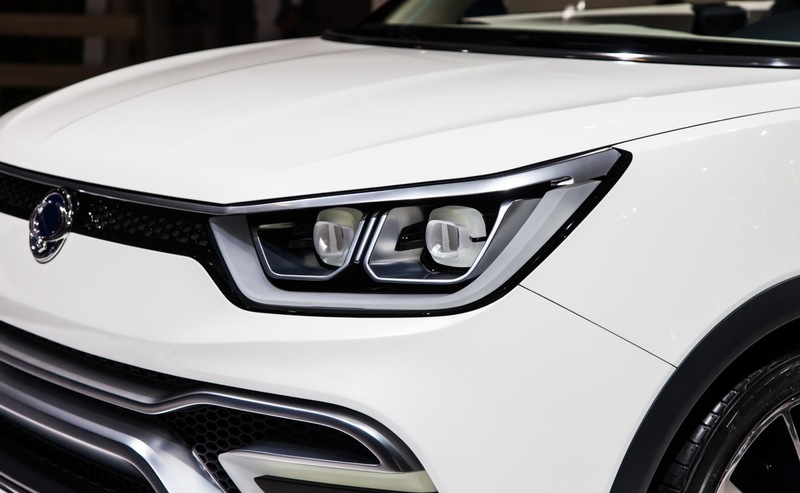 An illuminated instrument cluster or an optional ‘super-vision’ cluster is provided, along with high visibility LCD displays for the trip computer, gear shift indicator and other important information, with the option to select five different colours for the background illumination. 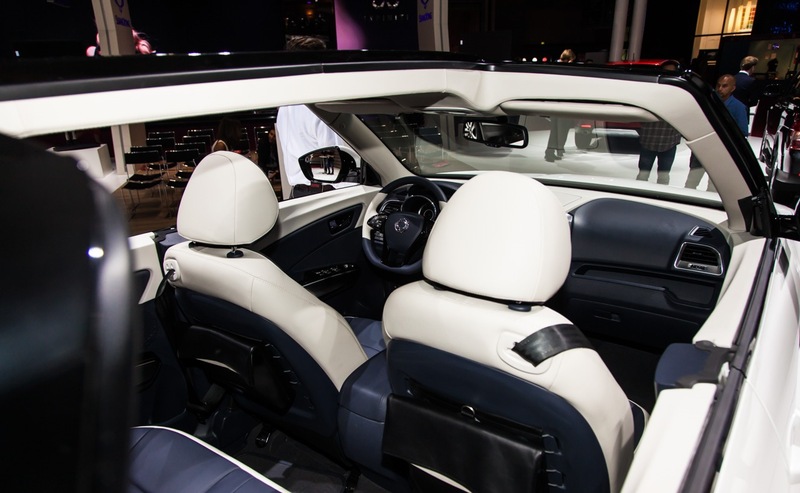 Interior mood lighting to create a calm environment at night is also featured. 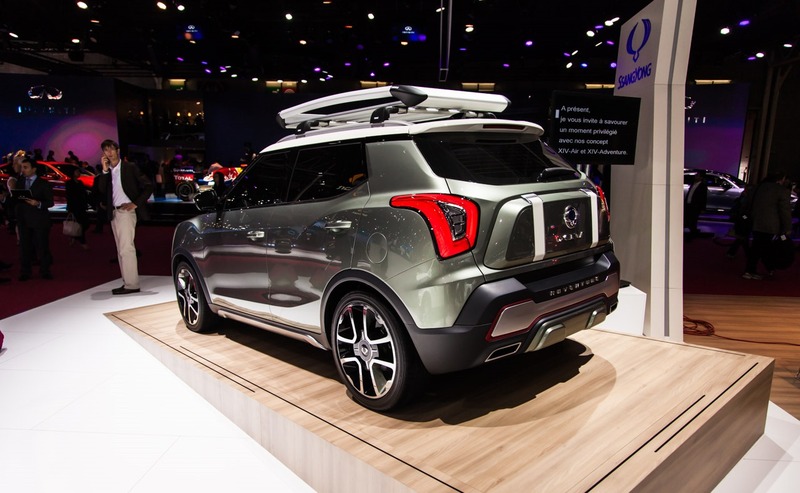 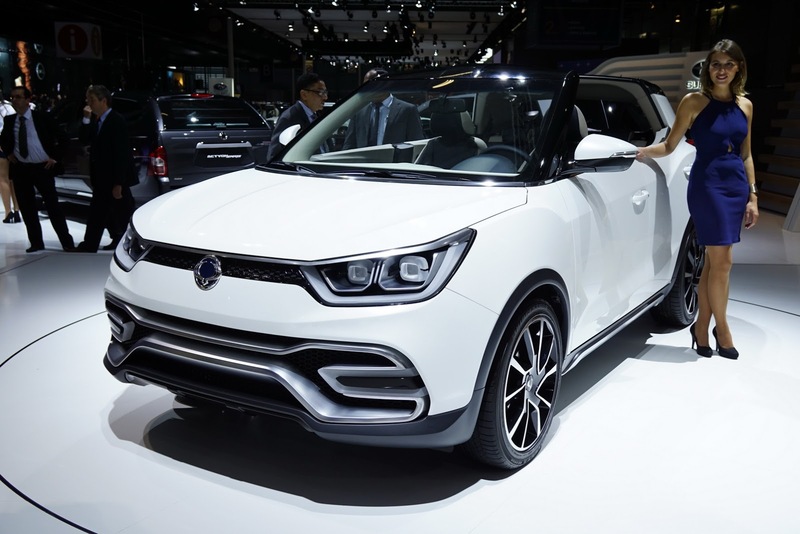 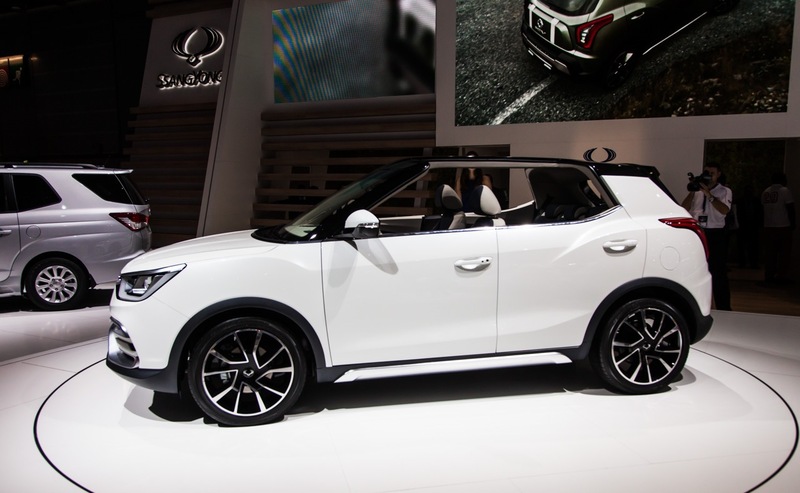 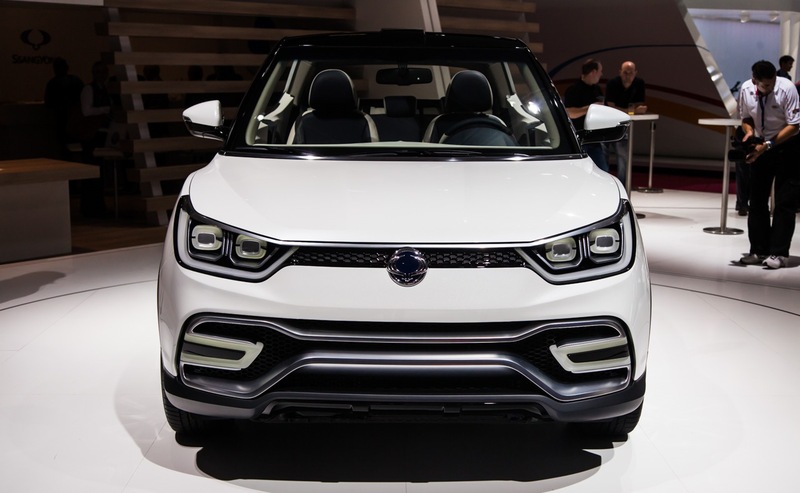 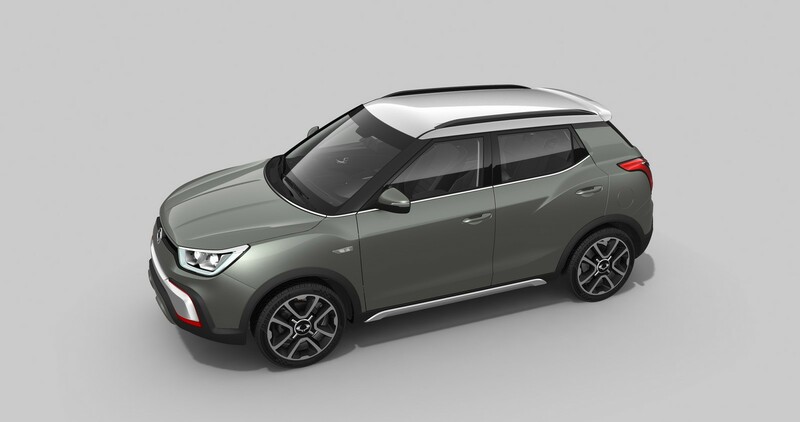 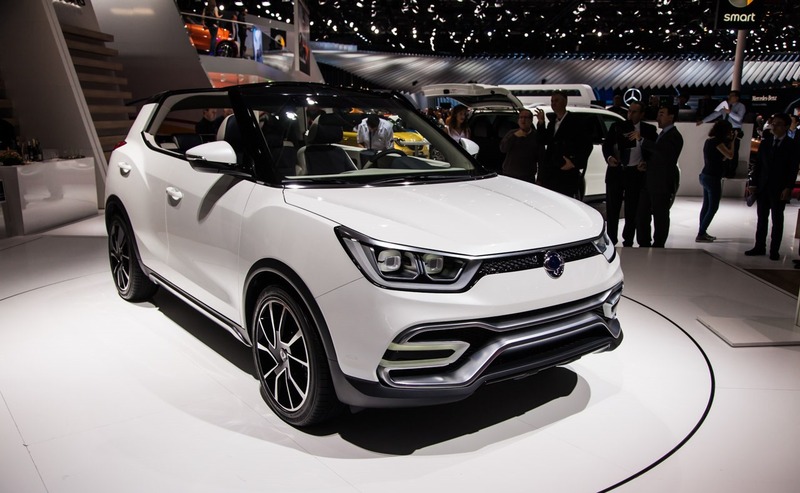 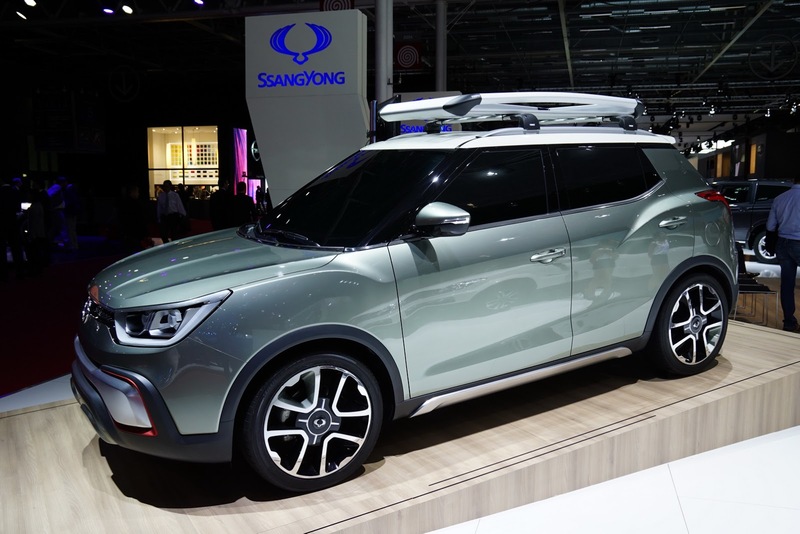 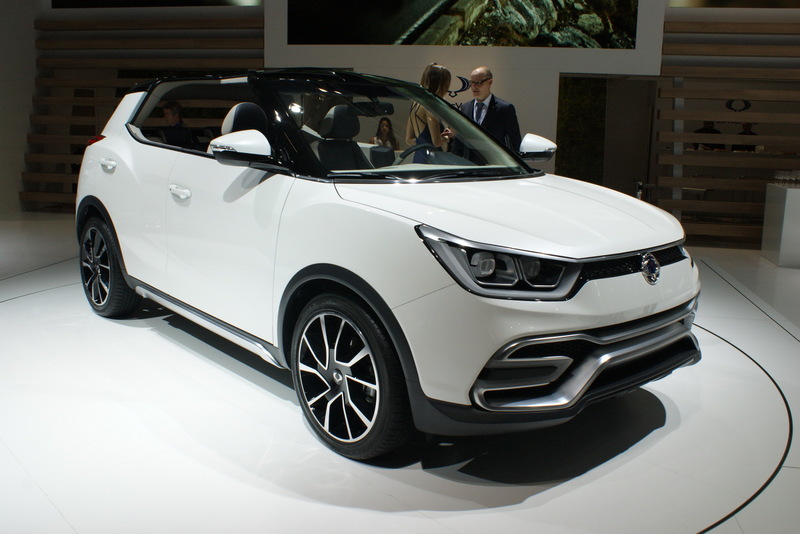 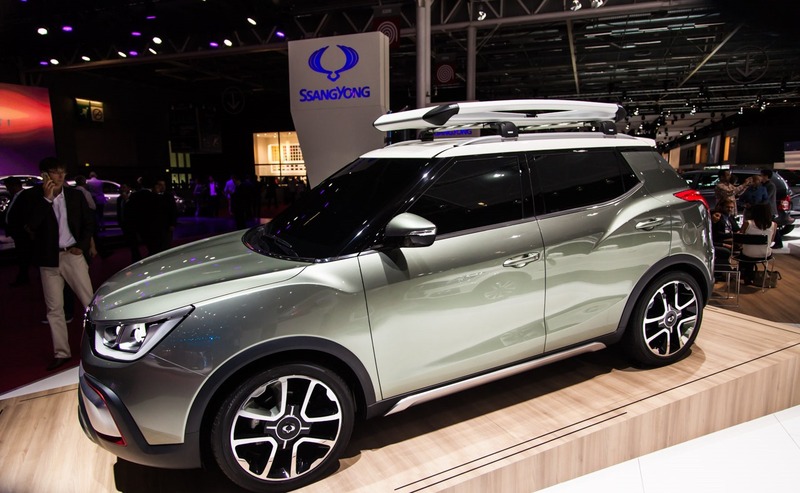 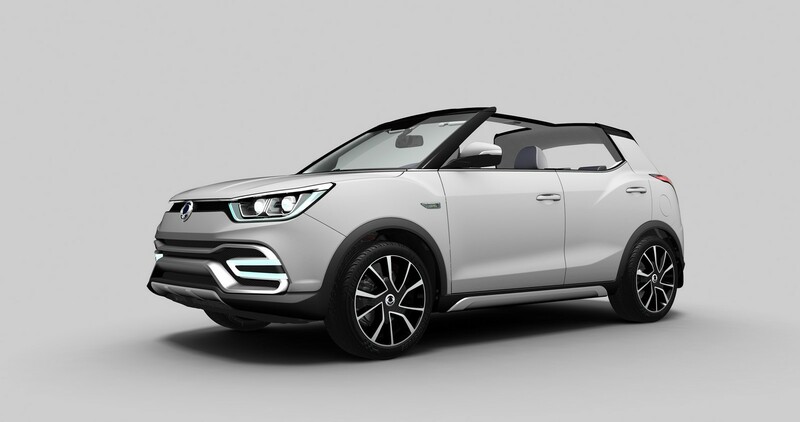 SsangYong Motor Company, (CEO Yoo-il Lee; www.smotor.com) will showcase seven vehicles at this year’s Paris Motor Show as part of its concerted drive for sales in Europe. 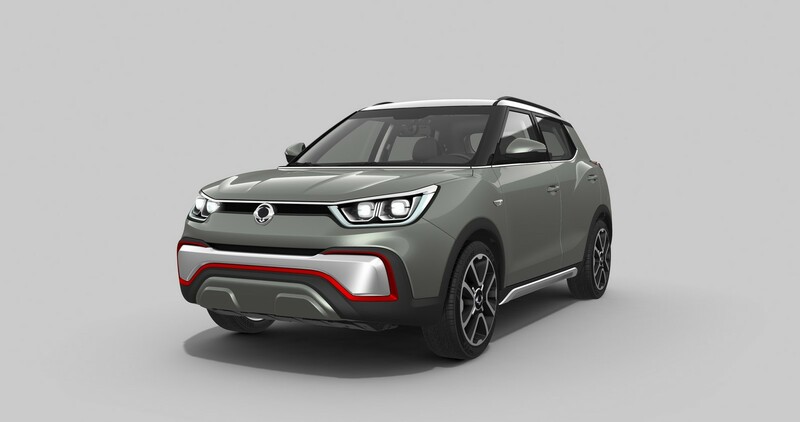 This will include two final development concepts of its new internationally strategic B-segment SUV – project name X100, along with cars from its four model range. 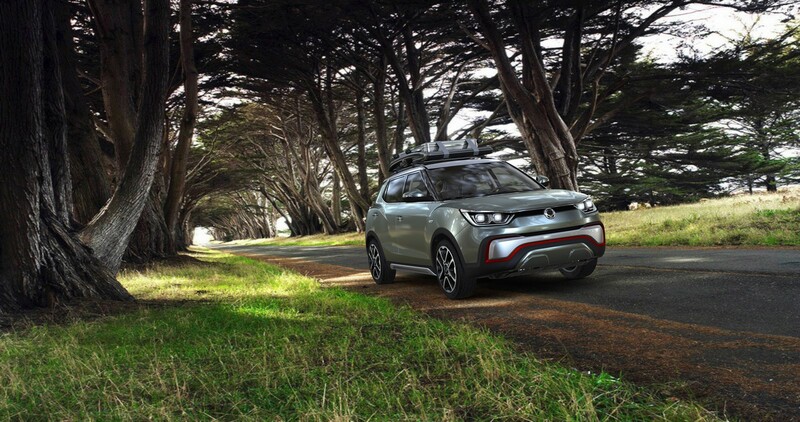 The XIV-Air and XIV-Adventure are near production ready concepts of the soon to be launched X100 – which is expected to go on sale early in 2015 – and will be shown at the Paris Motor Show, Paris Expo, Porte de Versailles, 2nd (press day) to 19th October. 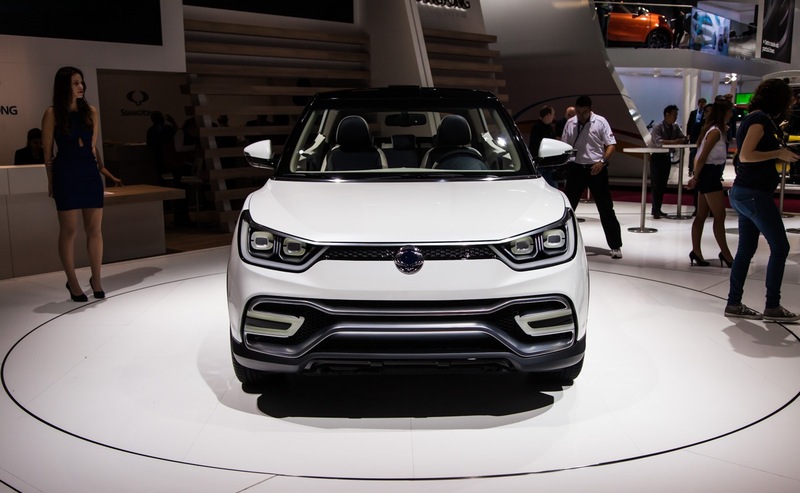 Based on the brand’s development philosophy of ‘Robust, Specialty and Premium’ and design theme of ‘Nature born – 3 Motion’, the XIV B-segment SUV series has been shown in six iterations at recent international motor shows over the past four years, beginning with the IAA Frankfurt in 2011. 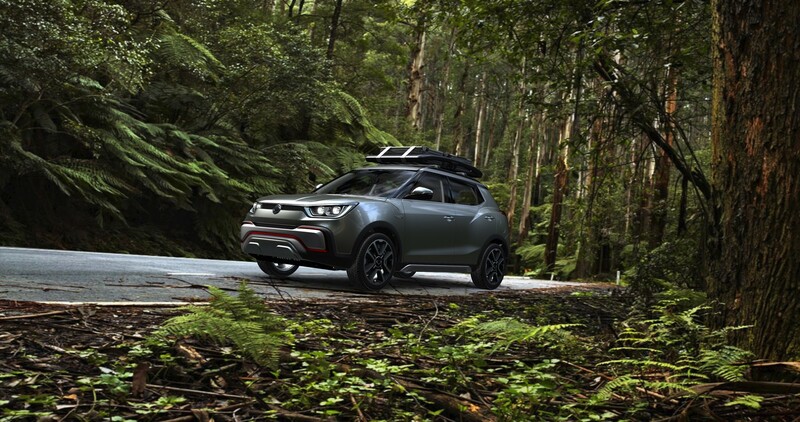 The marque’s design philosophy embraces the dignified, dynamic and rhythmical qualities of nature, enriching the customer experience through the harmony of man, nature and the car. 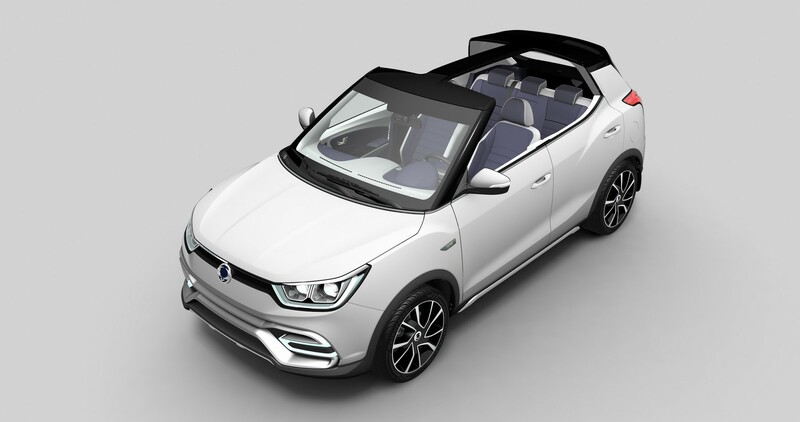 With its targa ‘T-top’ roof, XIV-Air meets the design brief by enabling driver and passengers to enjoy nature within their daily life. 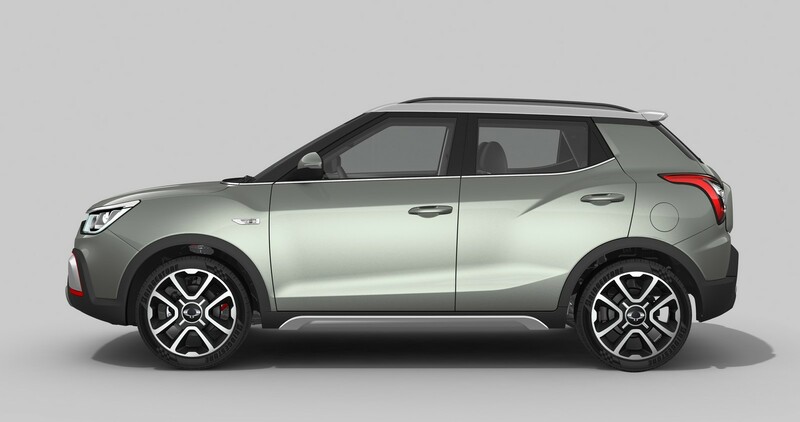 Believed to be unique in the SUV sector, this affords a sporty and dynamic sense while driving. 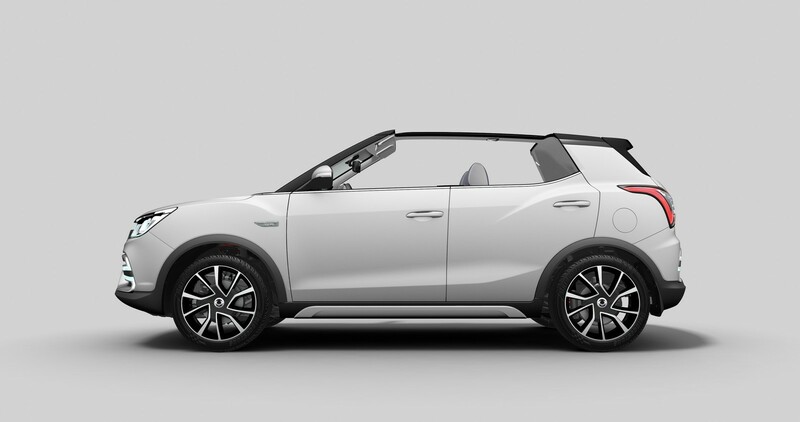 The simple yet refined bodylines create the sense of rhythm and dynamism, while the targa top offers the pleasure of wind-in-the-hair driving yet with protection. 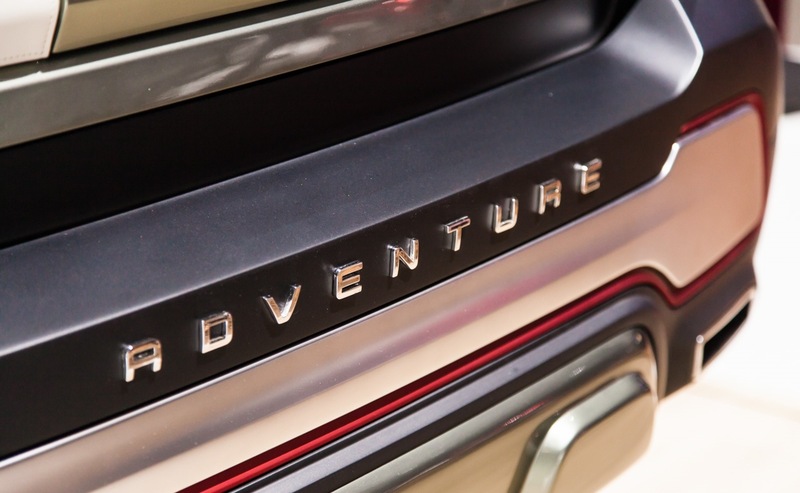 Inspired by the anticipation and excitement of the journey, XIV-Adventure embraces the escape from the routines and frustrations of urban life, leaving the crowded streets and skyscrapers behind while travelling away to new beginnings and possibilities. 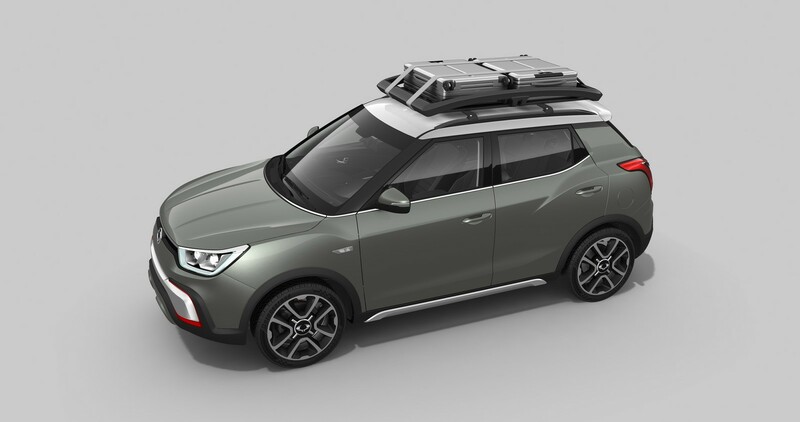 With such design cues as a heavy-duty bumper protector, purposeful roof rack and search light, the car evokes happy memories of escaping to the country and camping out in the wild surrounded by nature. 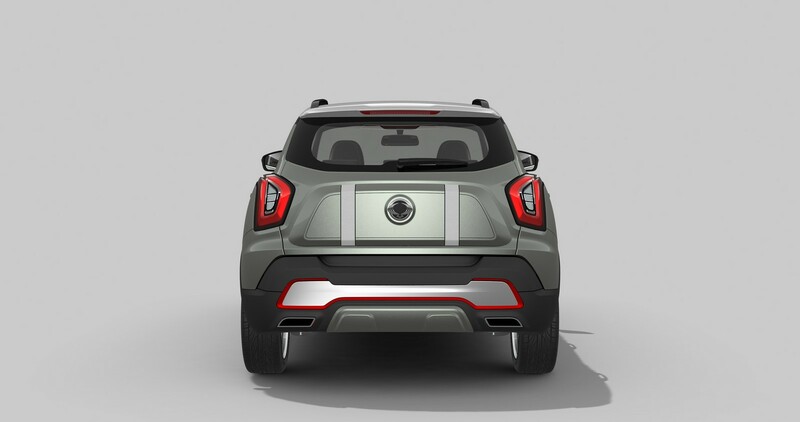 Rhythmical character lines flow down the side of the car’s body, while the taut volume of the rear bumper exudes dynamic motion. 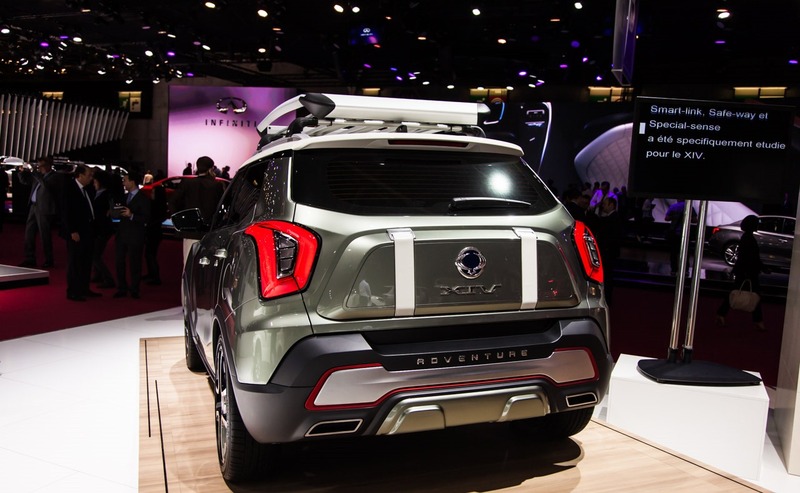 Inside, the XIV-Air pursues an emotional design language inspired by the effect of a cool and silky breeze. 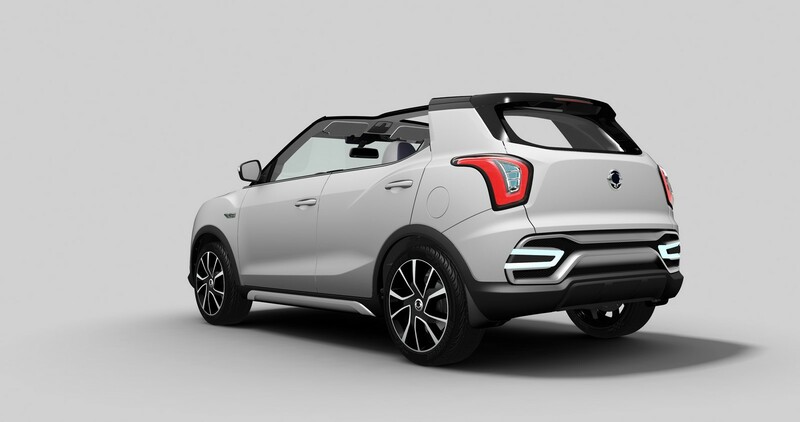 The shape of a bird’s wings in flight and two-tone colourway of white and dark blue creates the sense of inner space and a sporty, stylish ambiance, while the metal central fascia highlights the car’s futuristic design. 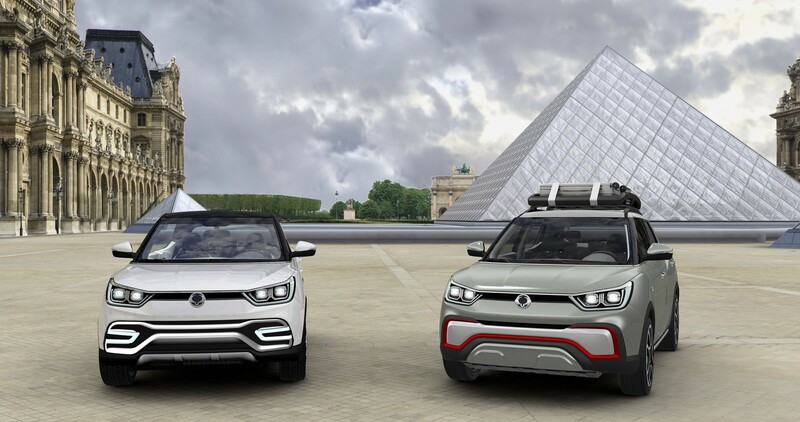 XIV-Air and XIV-Adventure are powered by either a 1.6 litre petrol or 1.6 litre diesel engine, and meet the latest exacting Euro 6 emission standards. 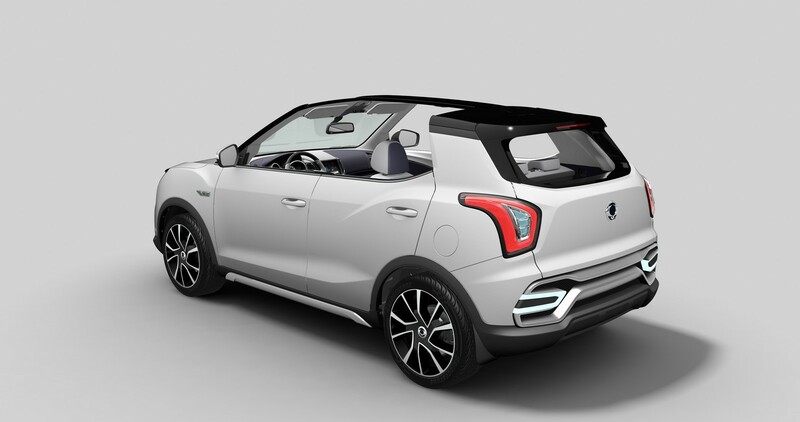 The 1.6 litre eco-friendly diesel engine produces much reduced CO² emissions of 110-120g/km (two wheel drive, manual with Stop/Start), and the 1.6 litre petrol engine delivers a 140-150g/km CO² emission level, again with two-wheel drive, manual transmission with Stop/Start. 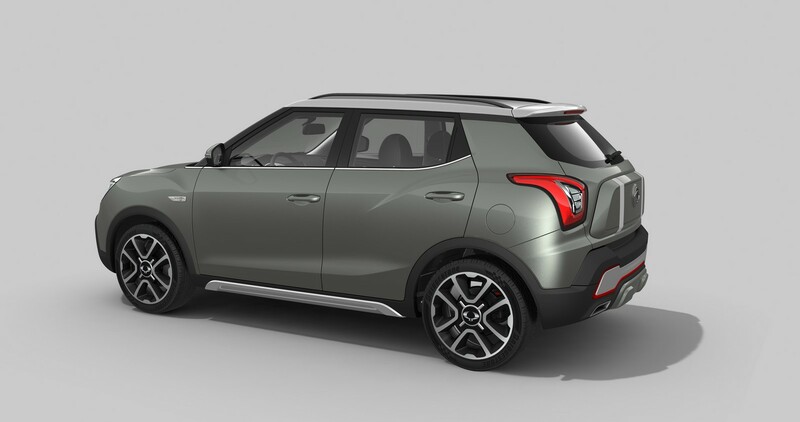 Safety has been a key priority throughout the design stages of the new XIV, with passengers at the centre of consideration. 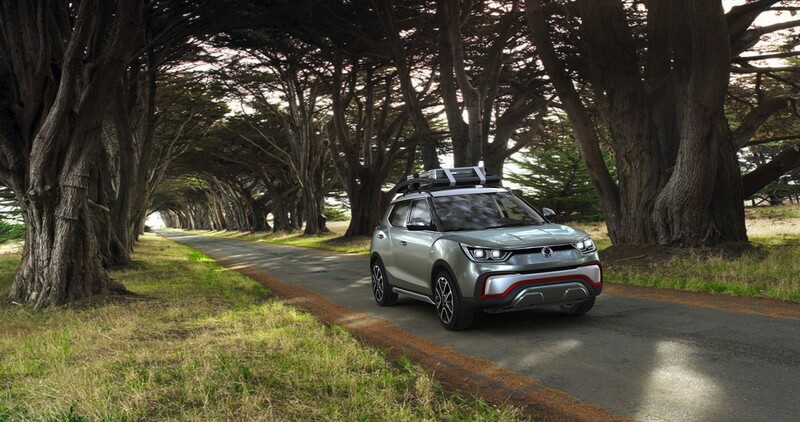 To this end, advanced safety equipment such as ESP (electronic stability programme) is included which continually monitors road conditions and the vehicle’s status, adjusting speed, engine output, balance, braking and steering angle at the point when the driver is potentially about to lose control. The car also comes with a Hill Start Assist system, which allows drivers to change pedals easily from the brake to the accelerator and carry out a safer hill start, and an Emergency Stop Signal system helps prevent collisions by warning following vehicles when braking hard. 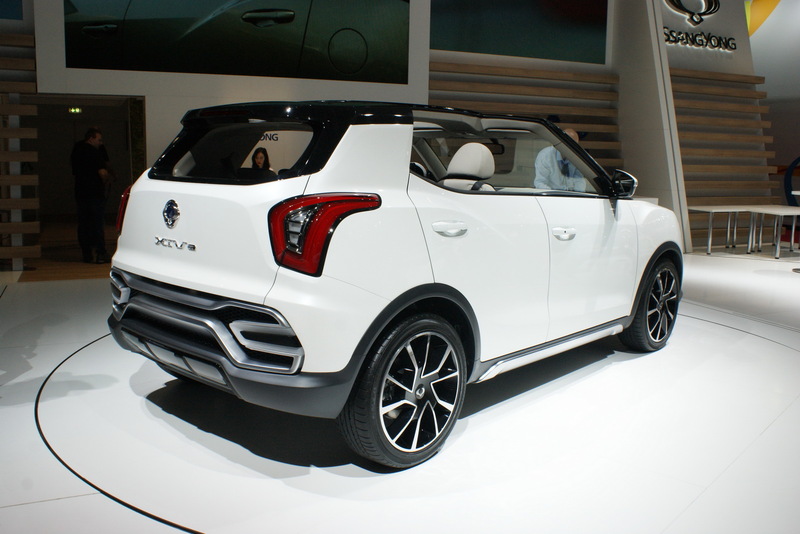 XIV is equipped with the choice of a newly designed MP3 audio. 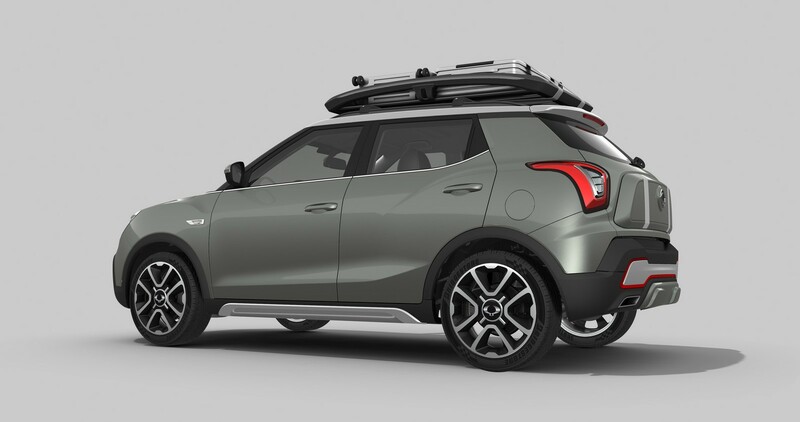 A USB/AUX port enables users to play external audio devices, while Bluetooth hands-free affords safe use of a mobile phone on the move. 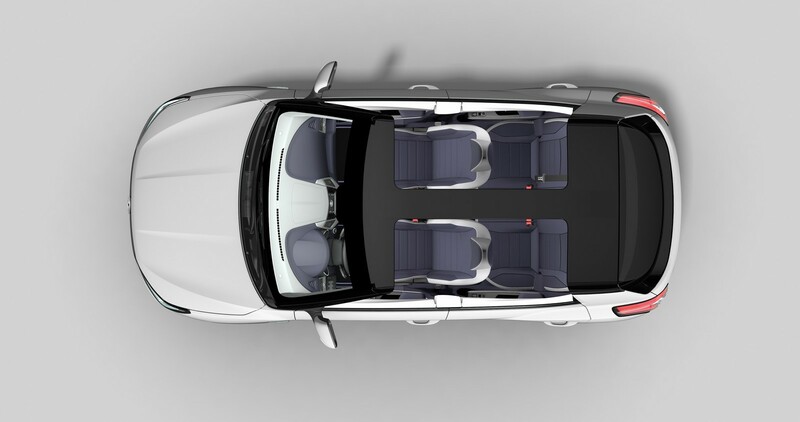 Passengers can also use their iPod and iPhone thanks to the iPod connection, with information displayed on the high-resolution LCD screen. 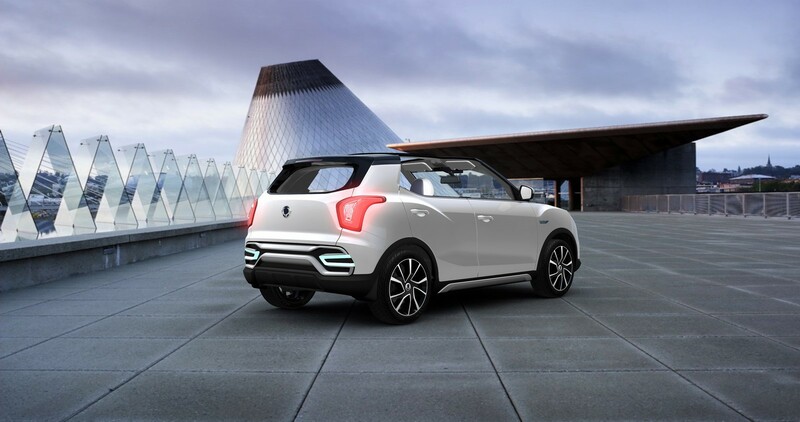 A mirroring function on the smart audio system allows you to share content on your smart phone with others by easily synching devices and then viewing on the screen. 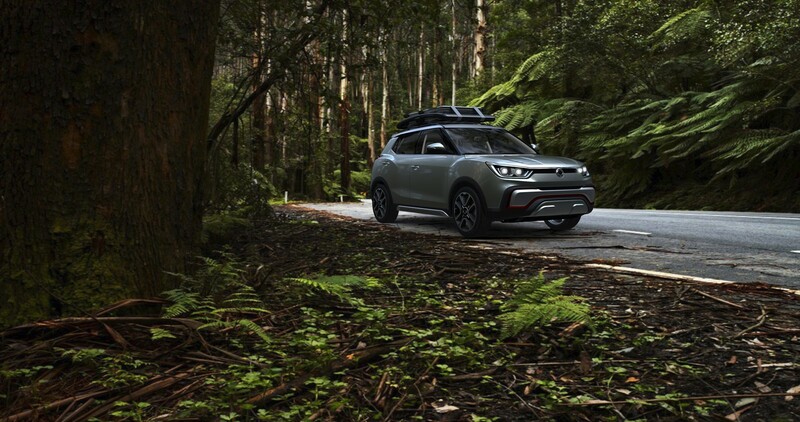 With its high riding, good visibility and go-anywhere ability, XIV offers occupants all the advantages of an SUV with the comforts and convenience of a saloon car. 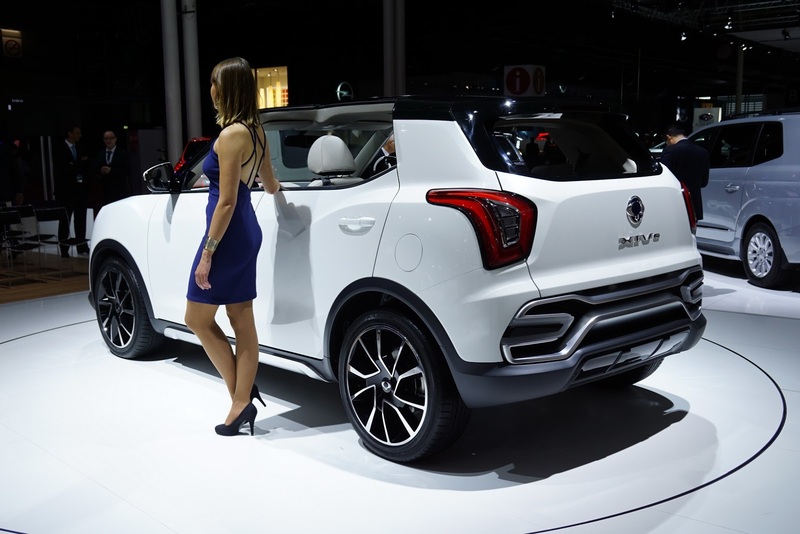 Meanwhile, SsangYong will also present five other vehicles on its 530 sq m stand in Paris. 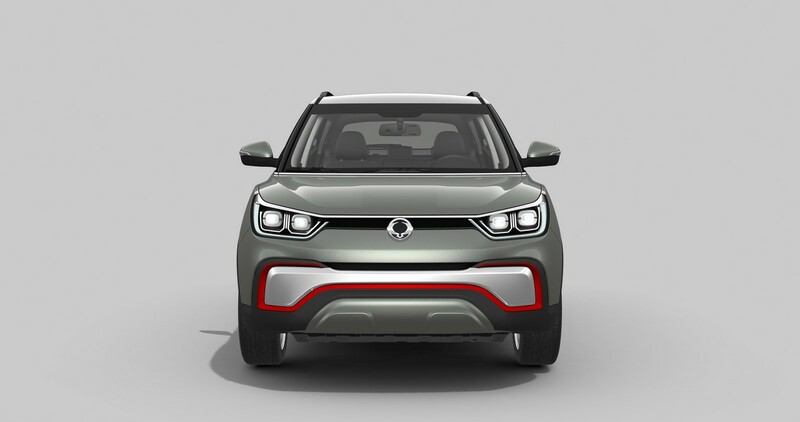 These will include the New Korando (known as Korando C in Korea), Rodius (also known as Korando Turismo, Turismo and Stavic), Rexton W and Actyon Sports (Korando Sports). 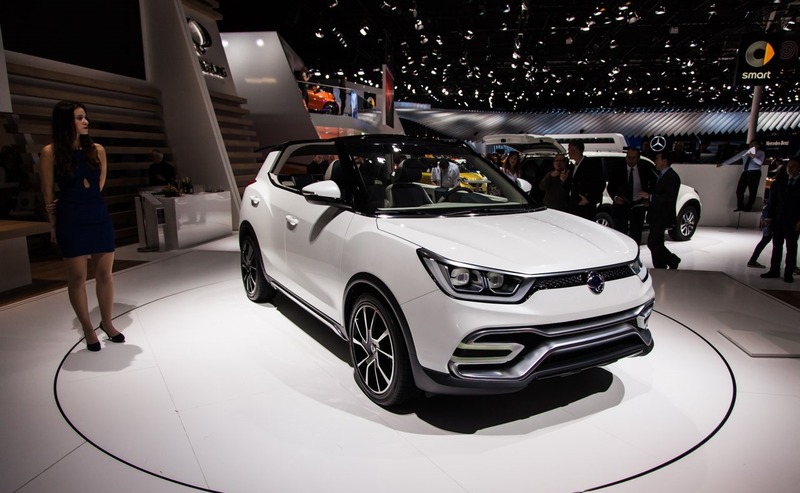 During the show, there will also be a presentation to the company’s European distributors about sales and marketing strategy. 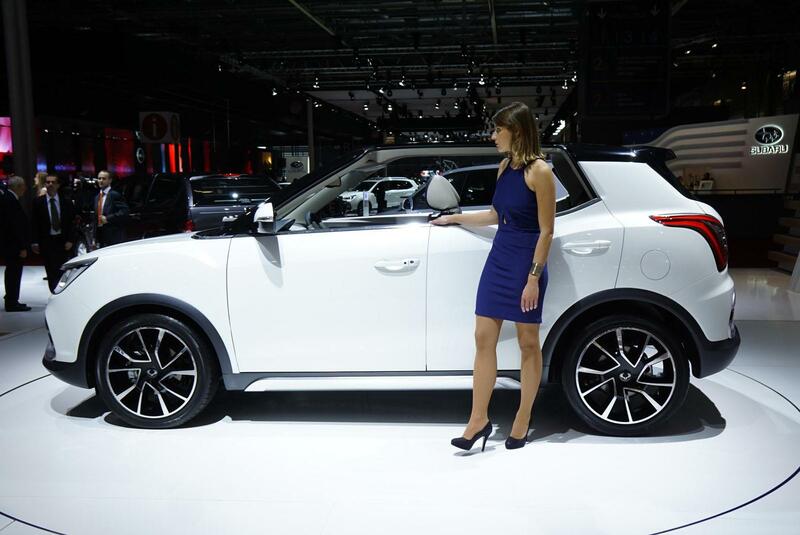 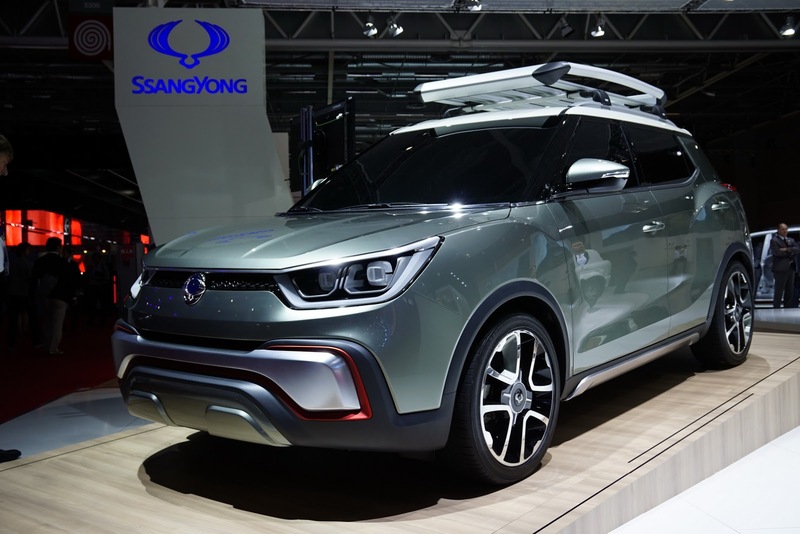 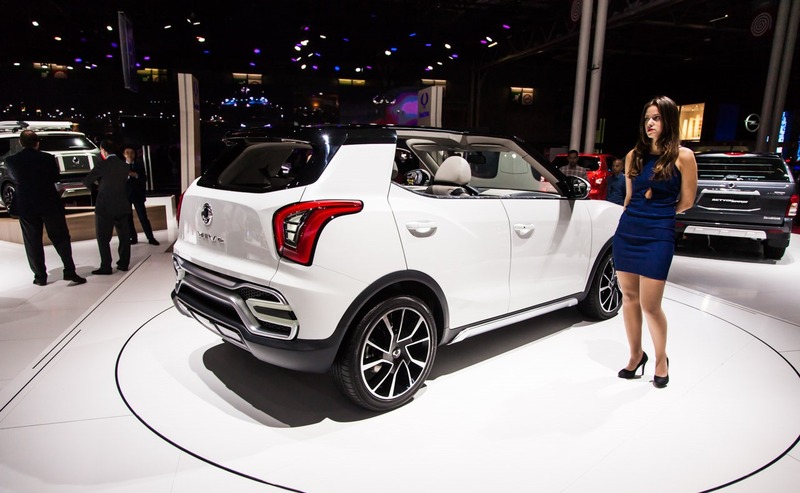 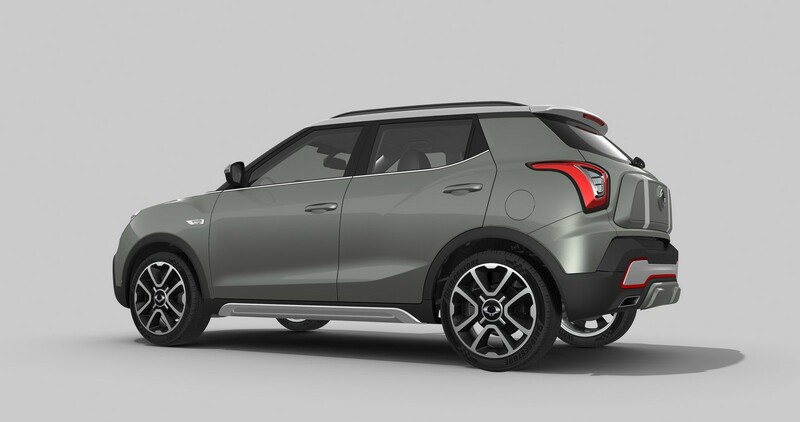 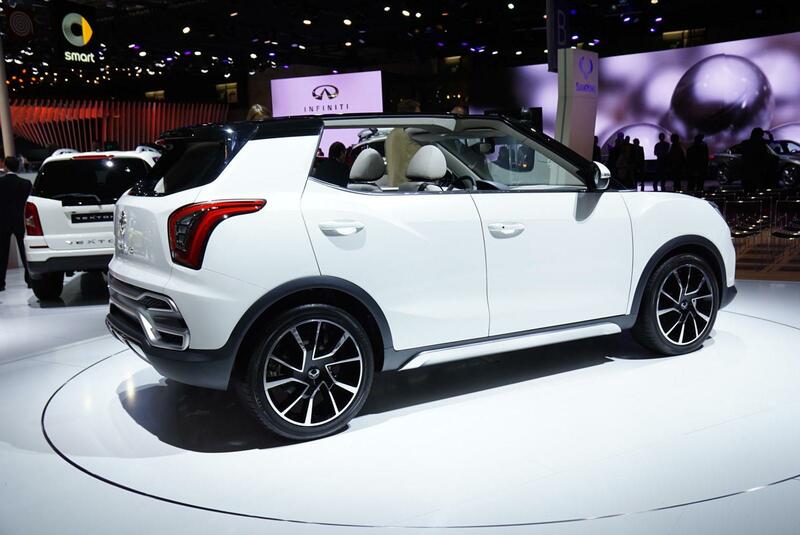 CEO of SsangYong, Yoo-il Lee, said, “As we approach the international launch of X100, SsangYong’s global strategic model, we are making an all-out effort to perfect the introduction of this vitally important new car. 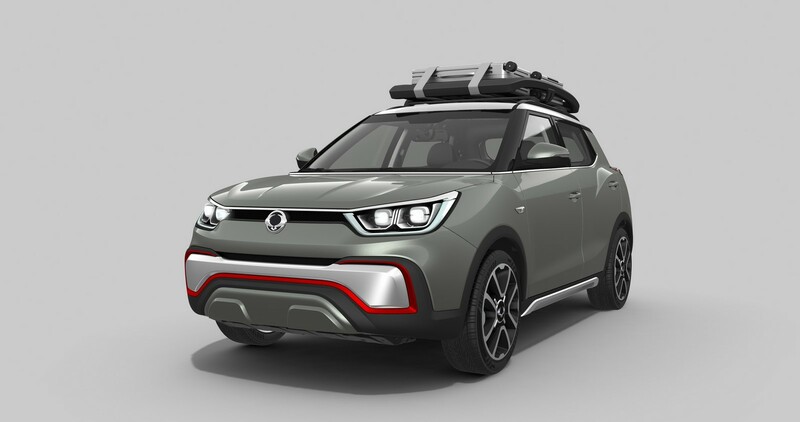 With the XIV-Air and XIV-Adventure pre-production concepts, you can get a very good idea of what this new car will look like, and after several years developing this futuristic model, it’s very exciting to think that we’re now just a few months away from its launch.